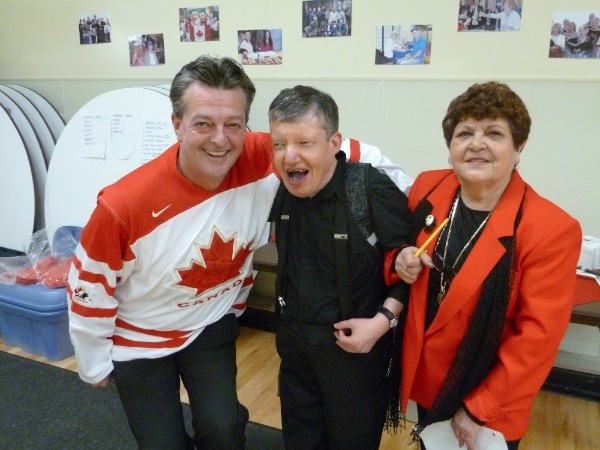 This year’s recipient of the “Volunteer Of The Year” award is Peter DeMarchi. 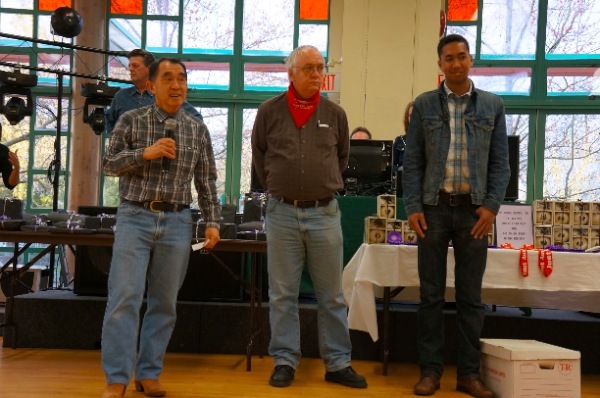 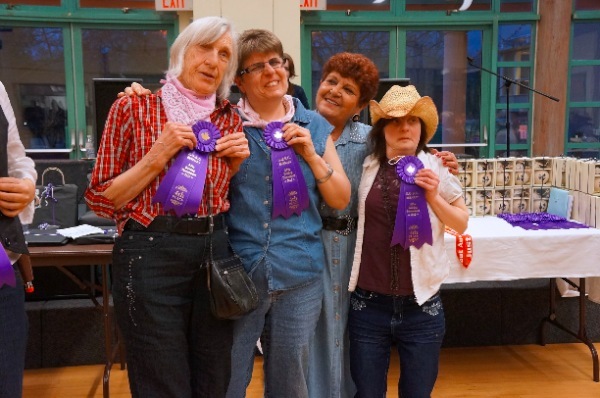 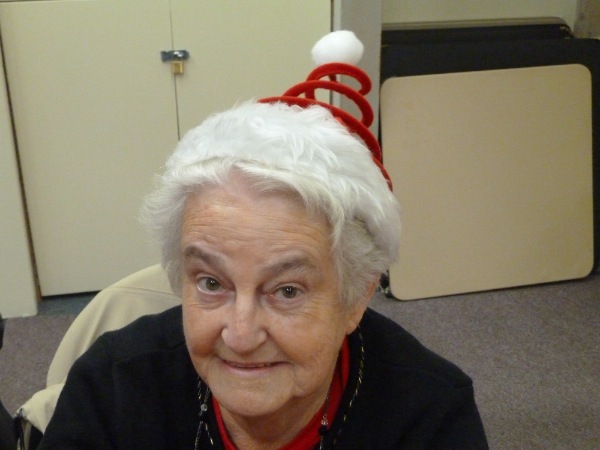 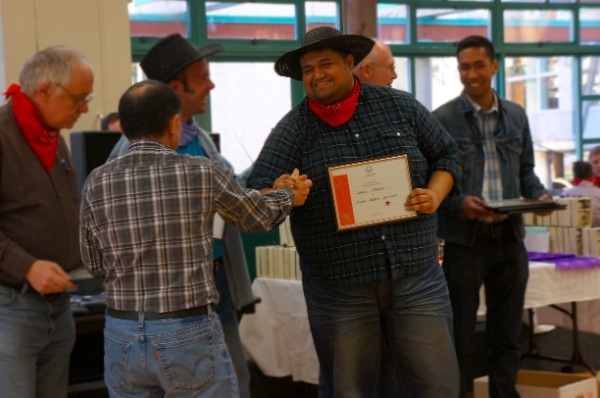 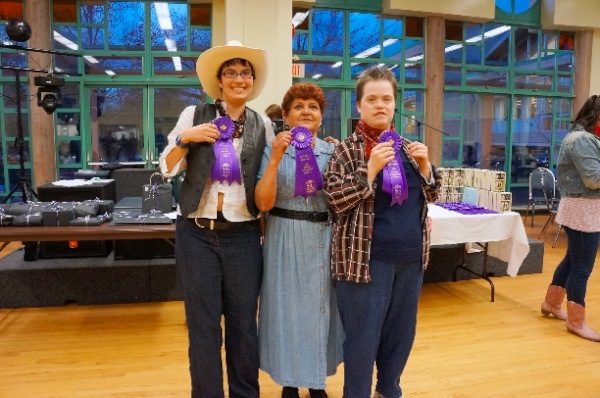 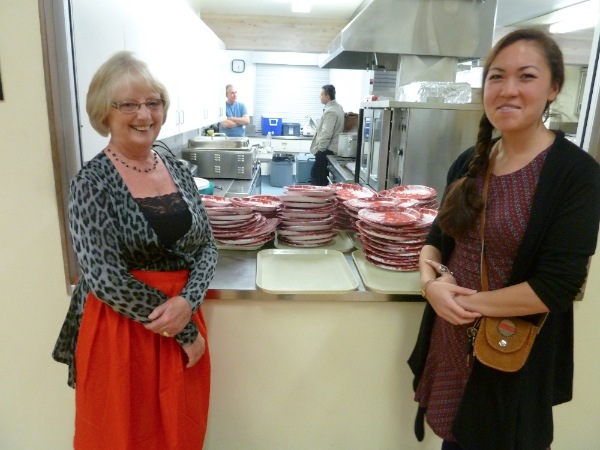 The award was presented by Zee Simpson at our local’s Annual General Meeting July 19th, 2014. 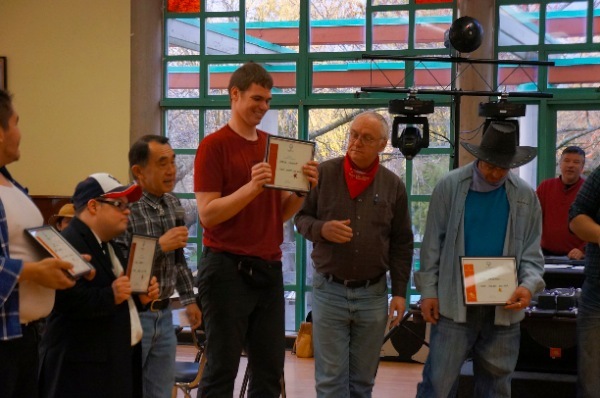 Peter is very deserving of this award. 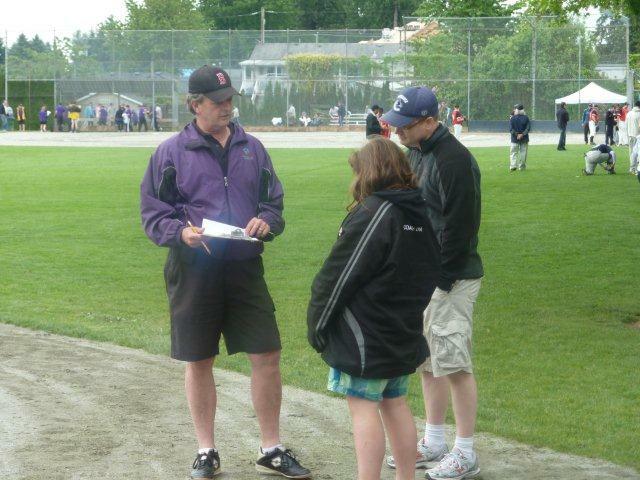 He has taken on many responsibilities which include sitting on the local’s board as Program Director, Floor Hockey coach, Basketball Head Coach, and Athletics Coach training our athletes that run Long Distance events. 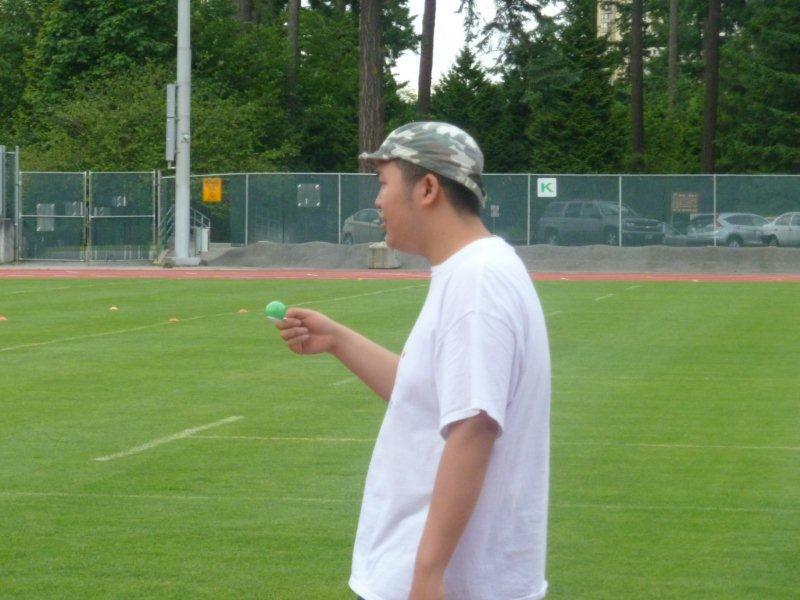 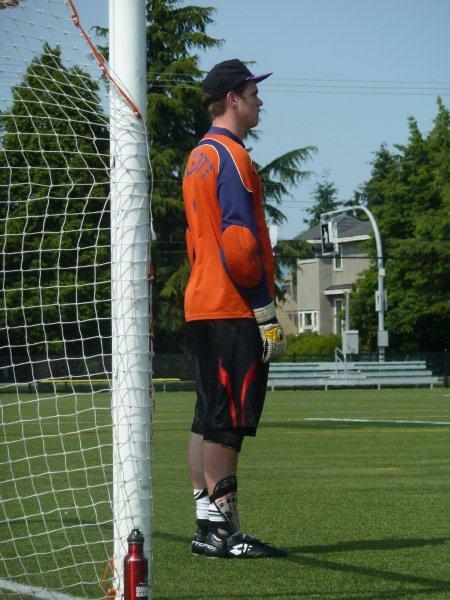 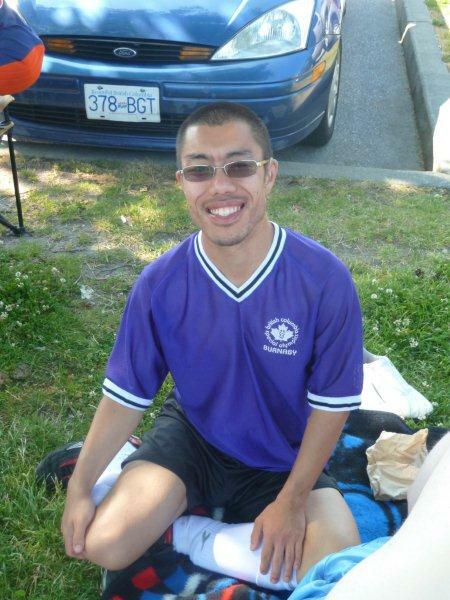 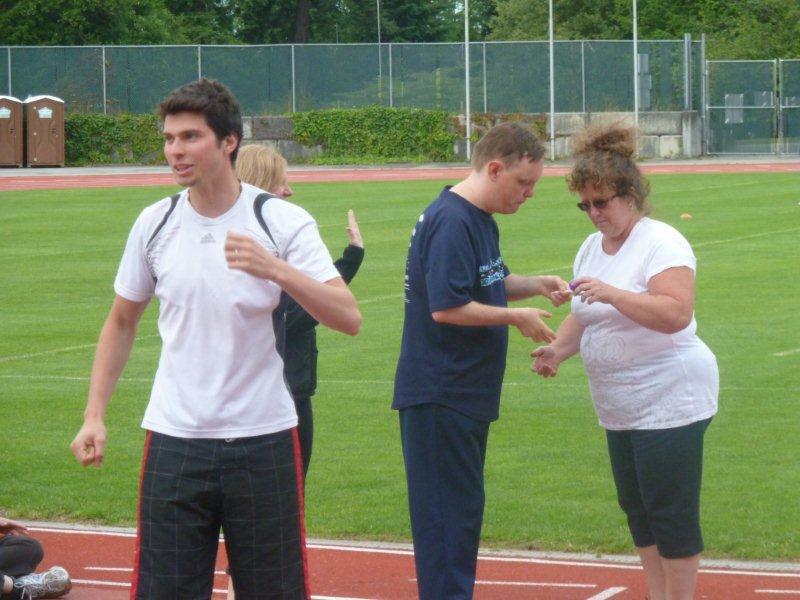 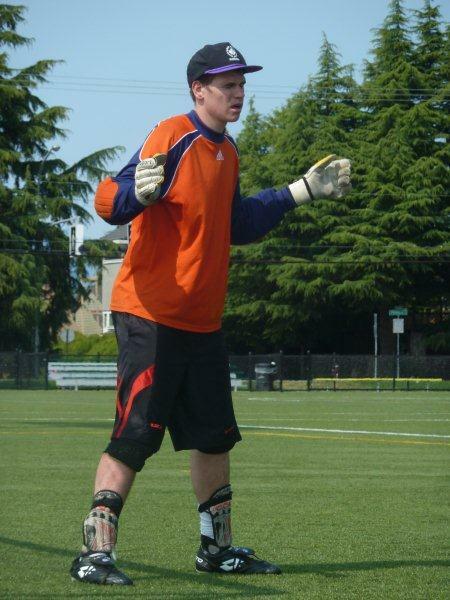 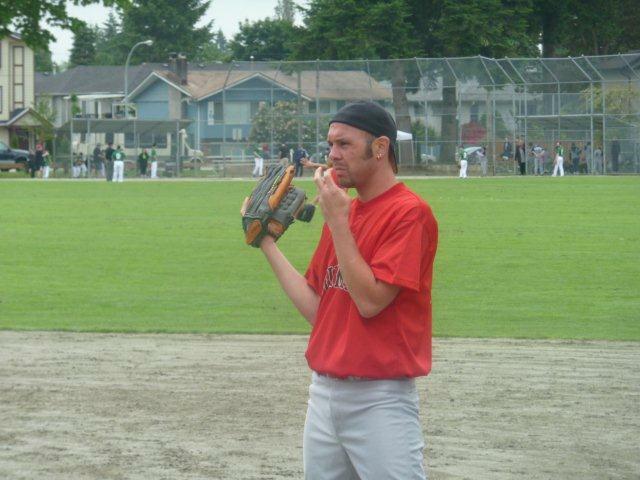 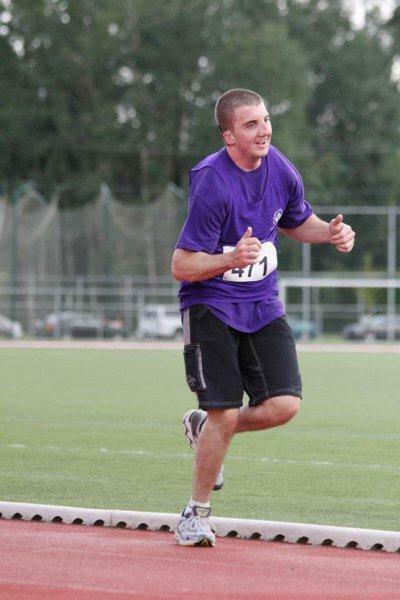 Peter was also named to Team BC as an Athletics coach which involved training athletes for the 2014 Special Olympics National Summer Games which were held July 8-14th, 2014 at UBC. 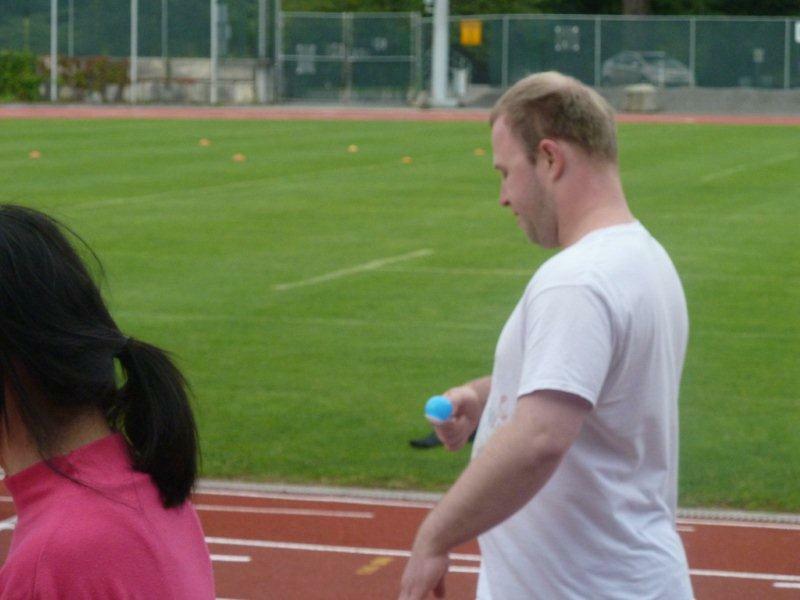 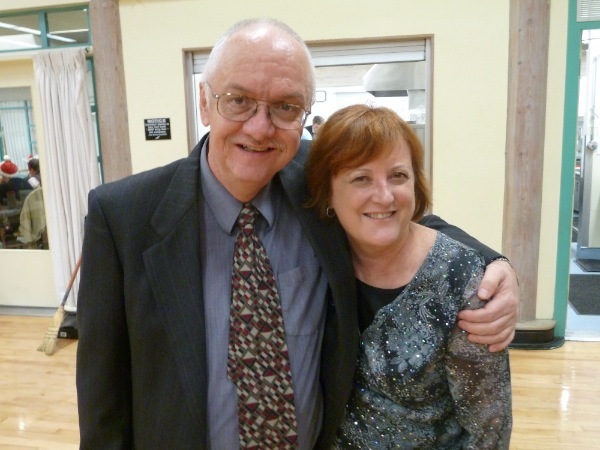 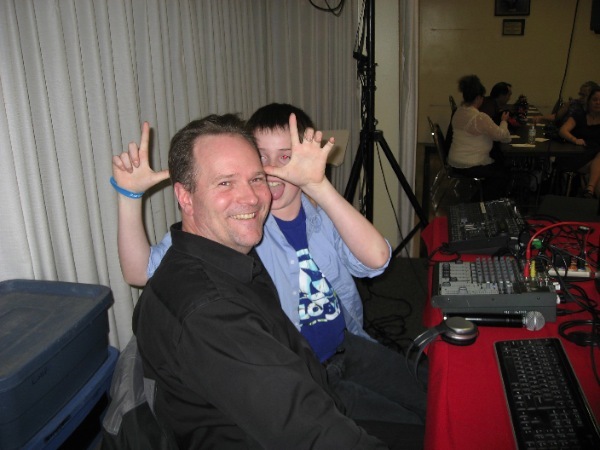 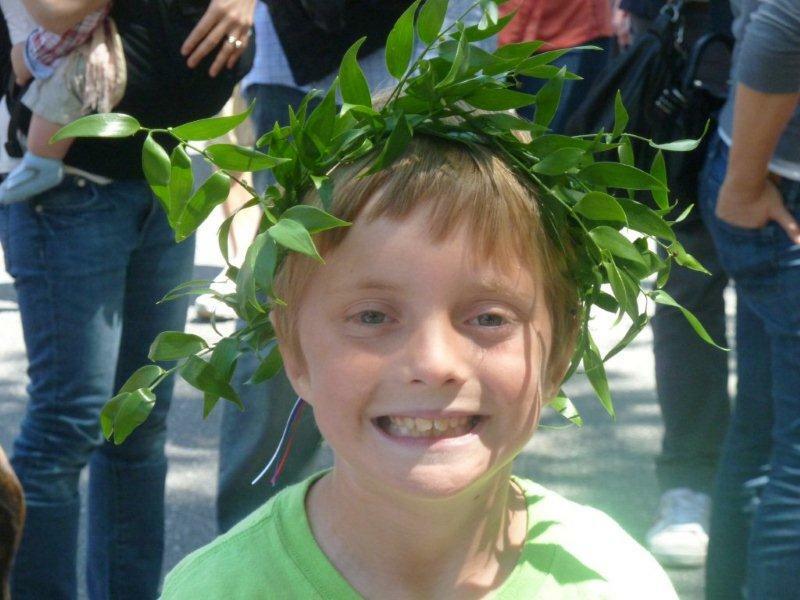 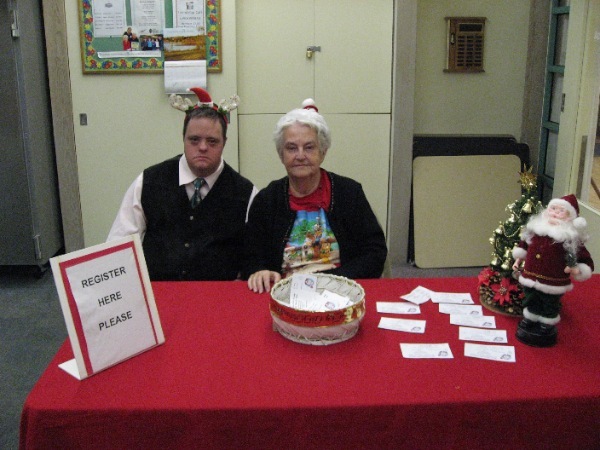 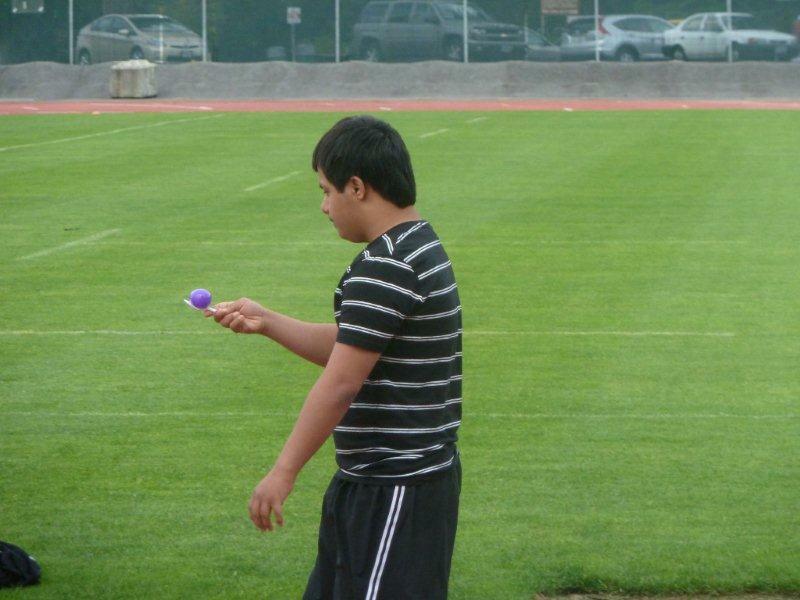 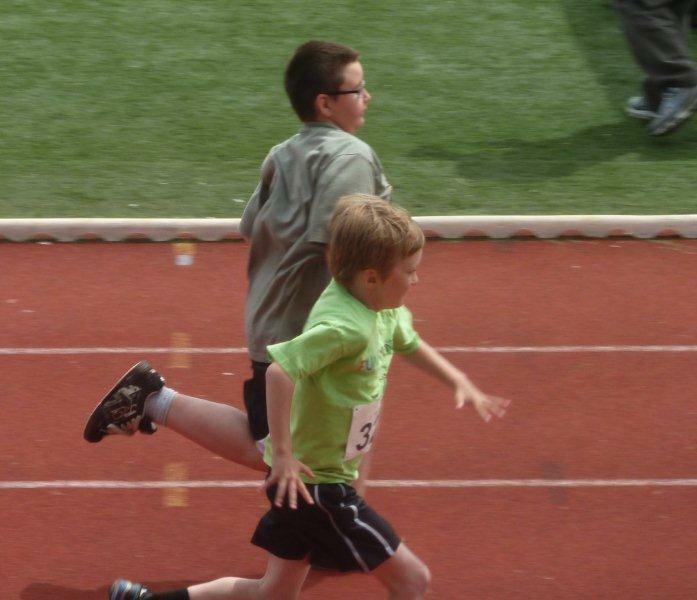 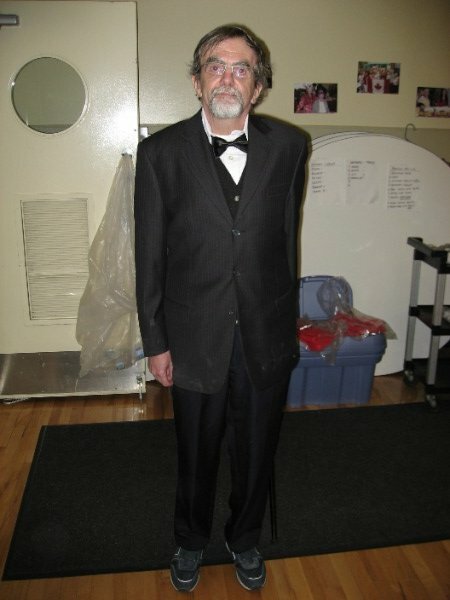 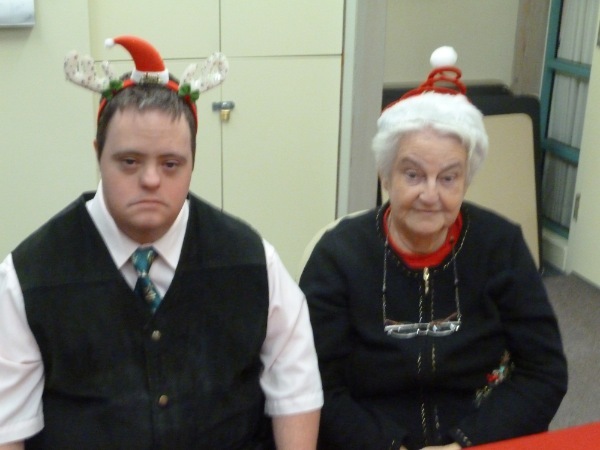 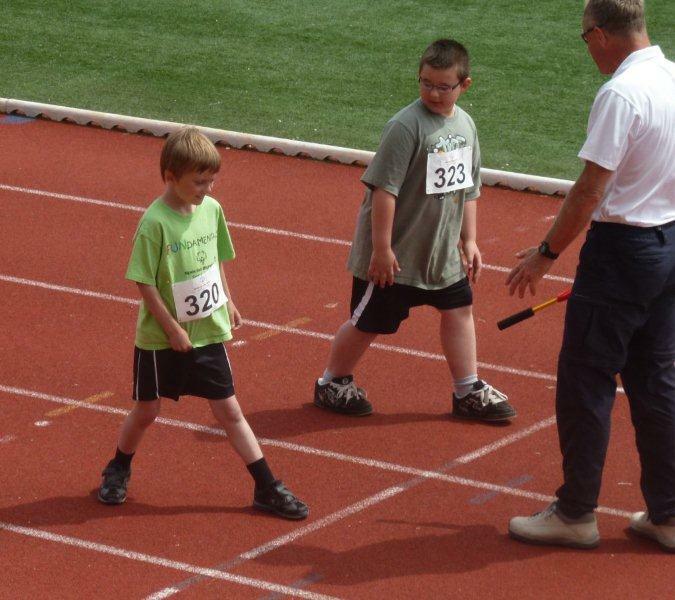 Peter first started volunteering with Special Olympics 4 years ago. 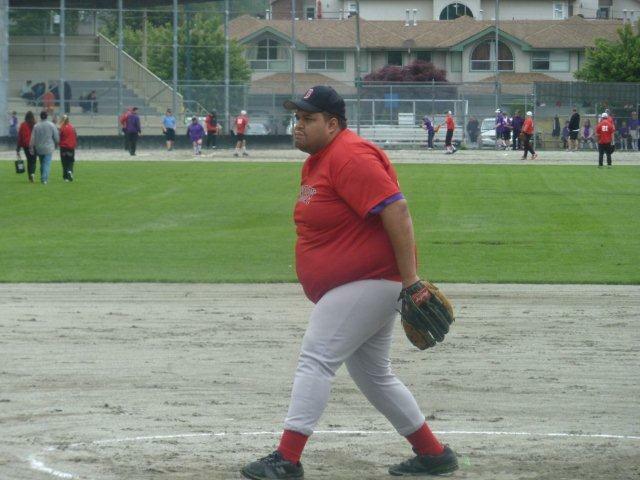 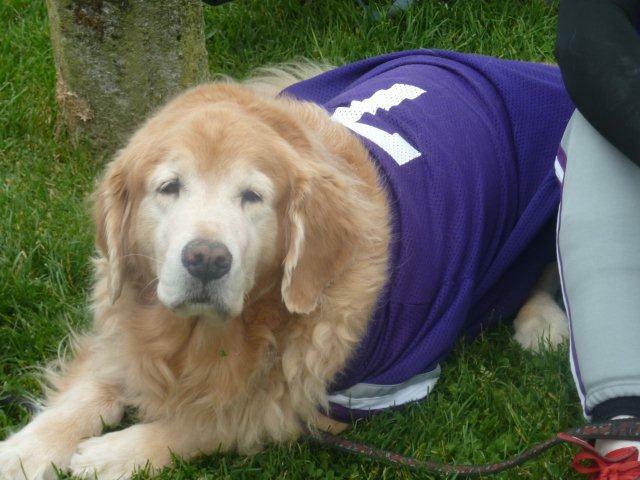 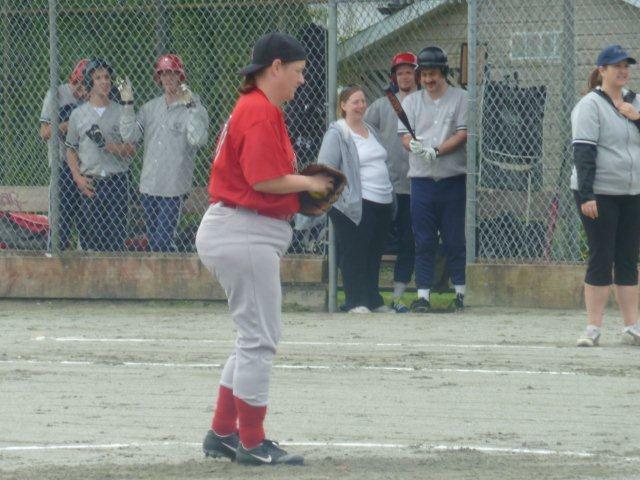 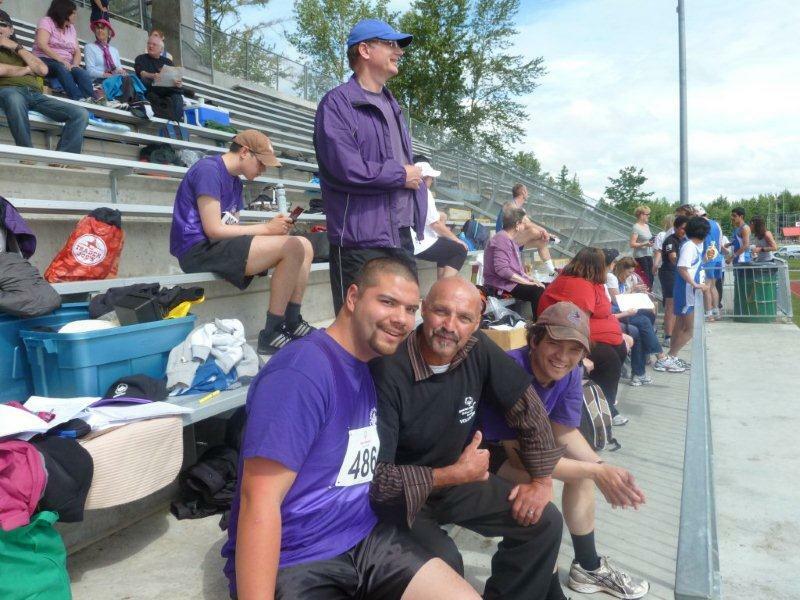 During this time, he has been to many sport competitions as well as attended Provincial and National Games as a coach. 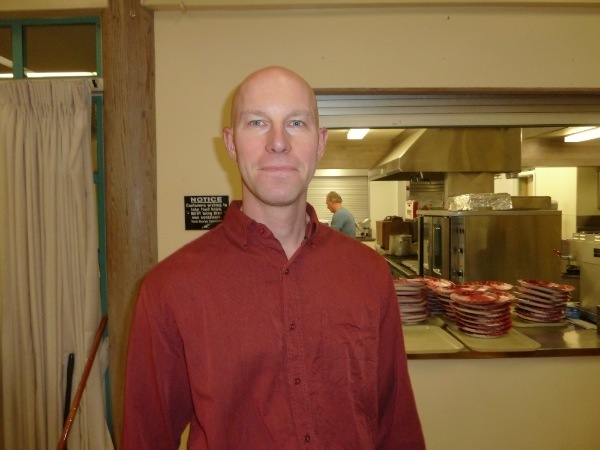 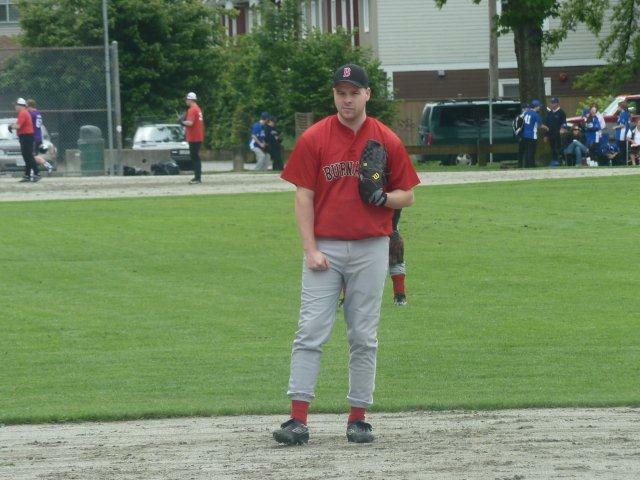 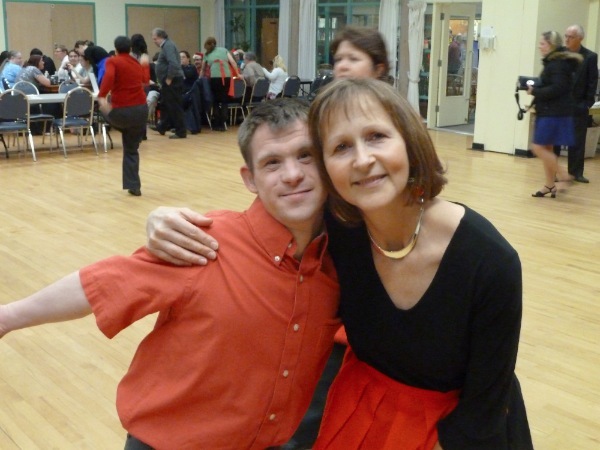 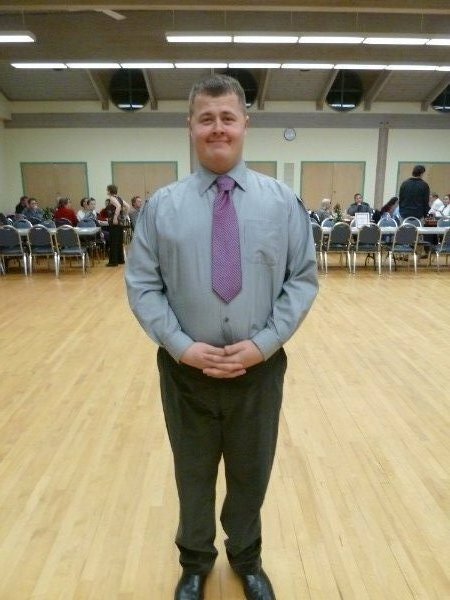 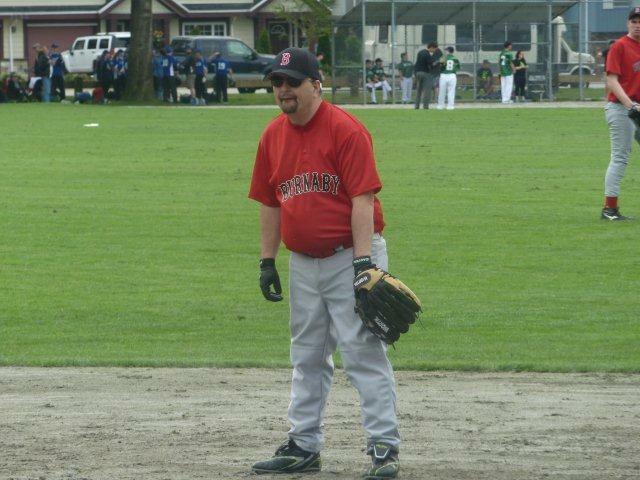 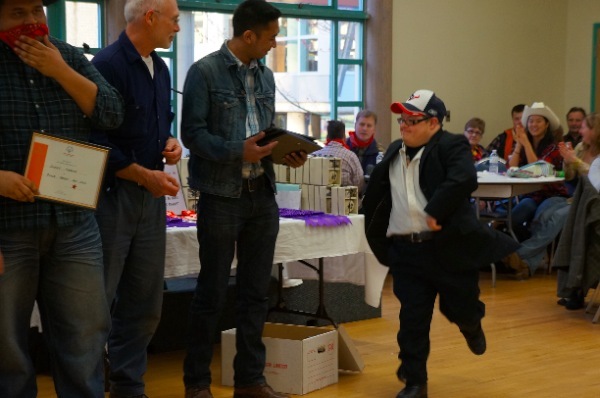 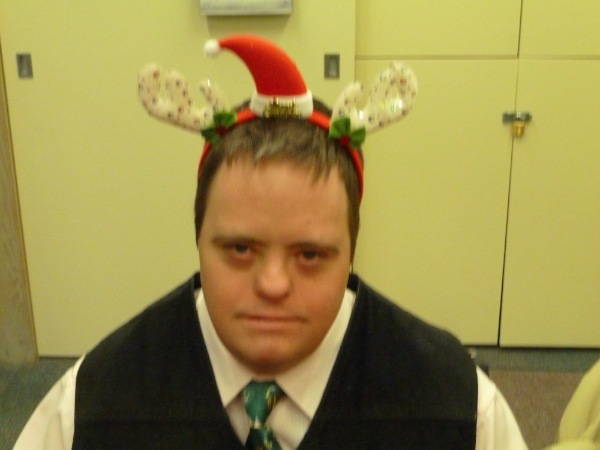 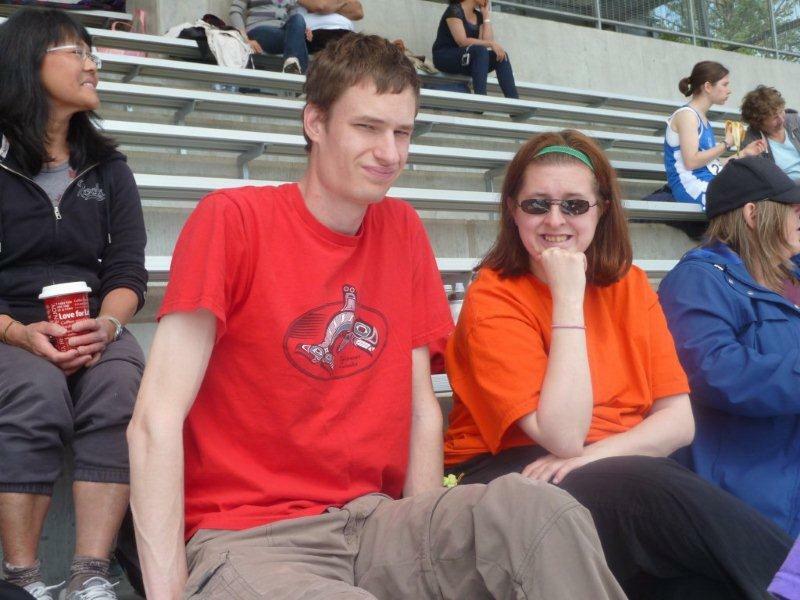 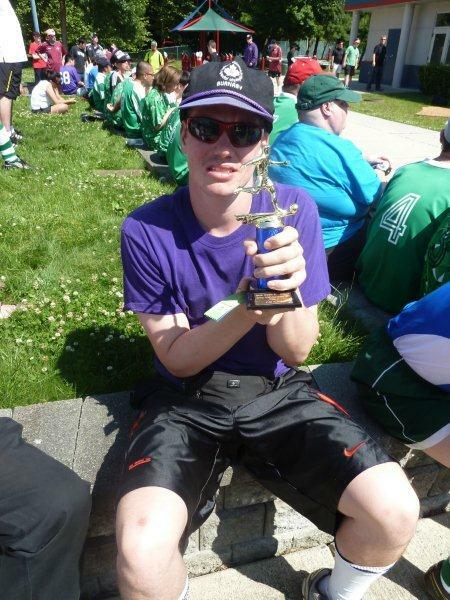 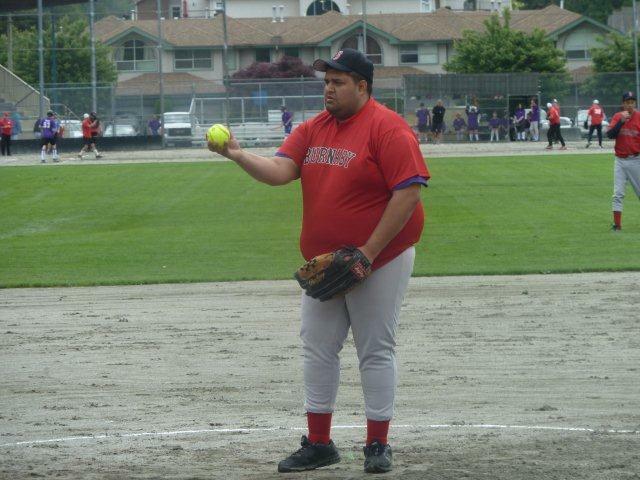 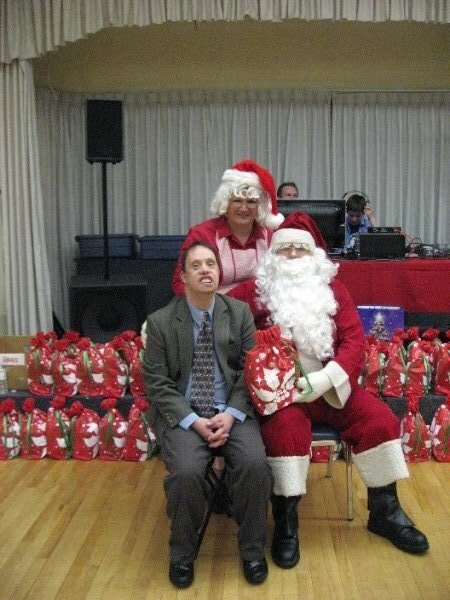 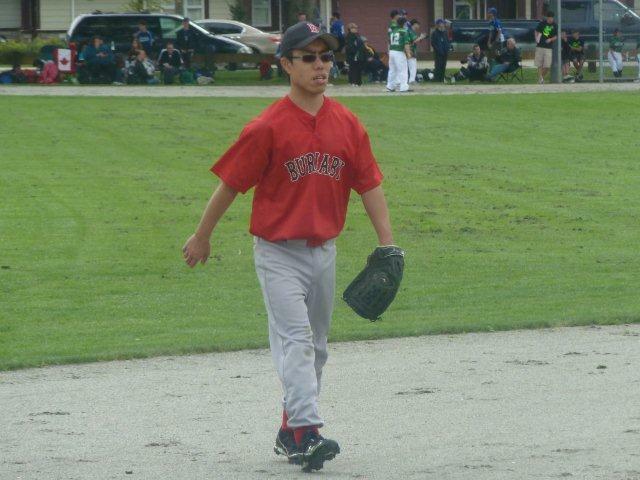 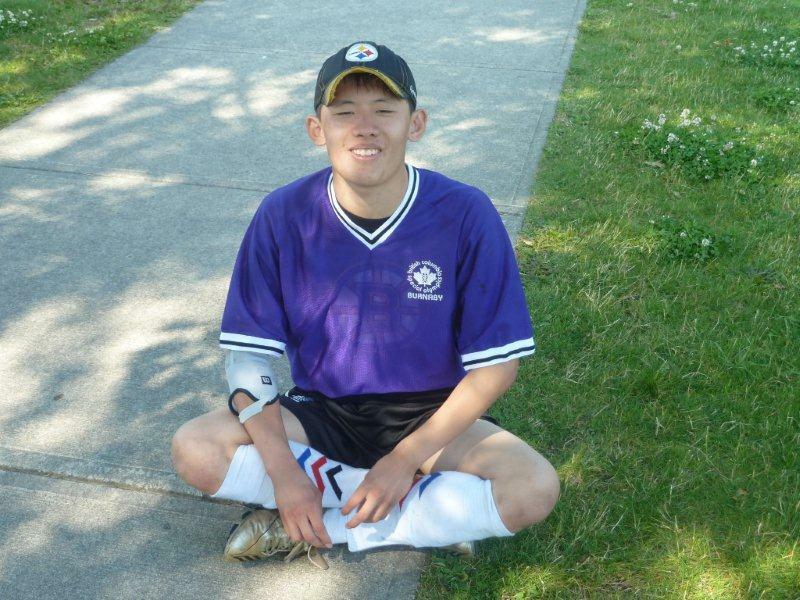 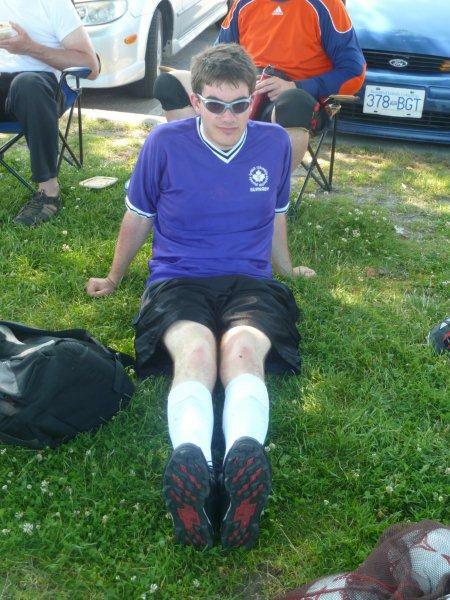 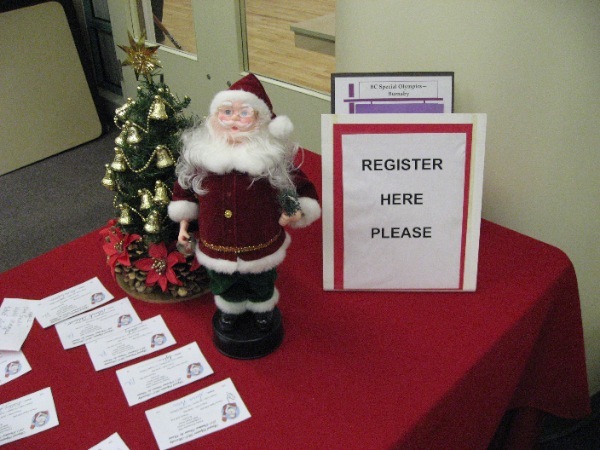 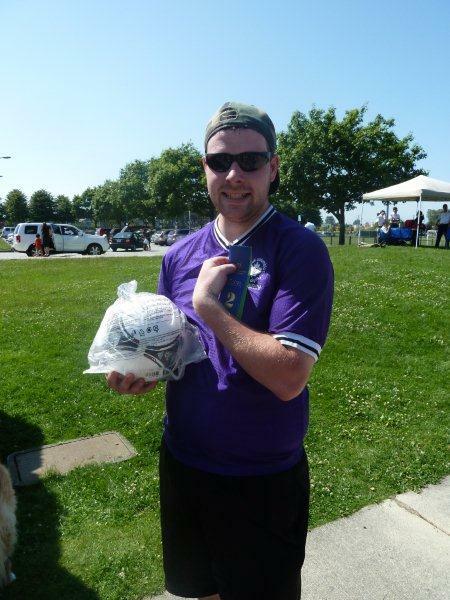 He most recently was selected to attend the 2015 Special Olympics Winter Provincial Games as Mission Staff. 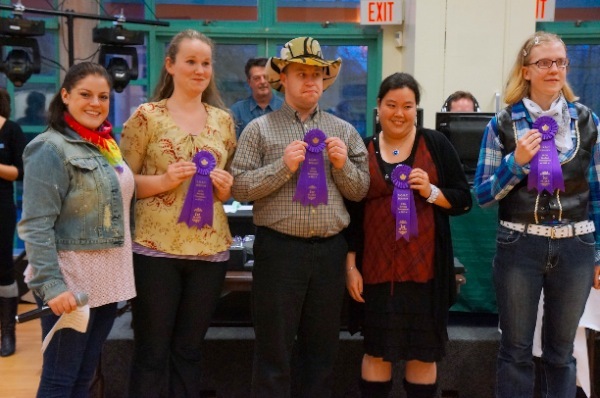 These games will be held February 19th – 22nd in Kamloops. 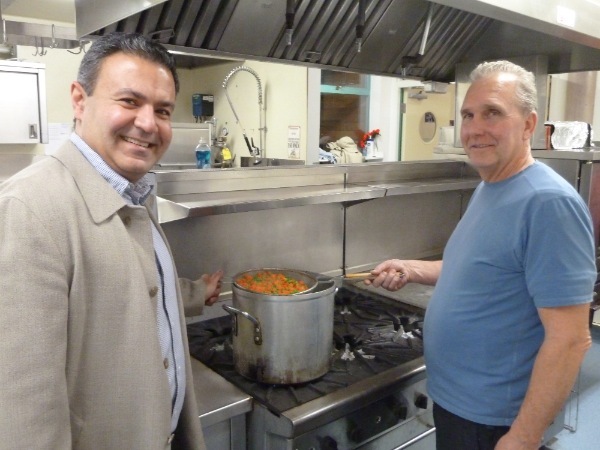 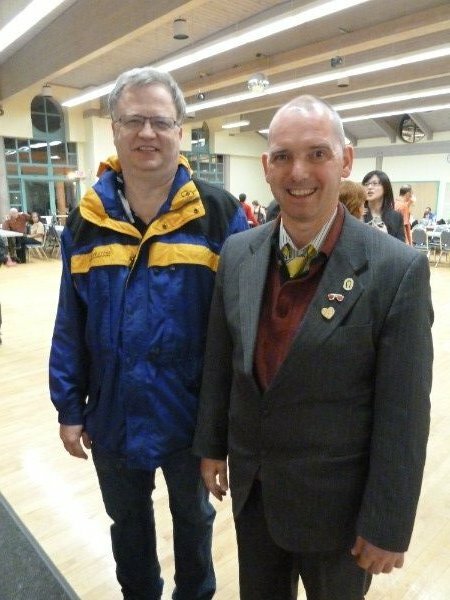 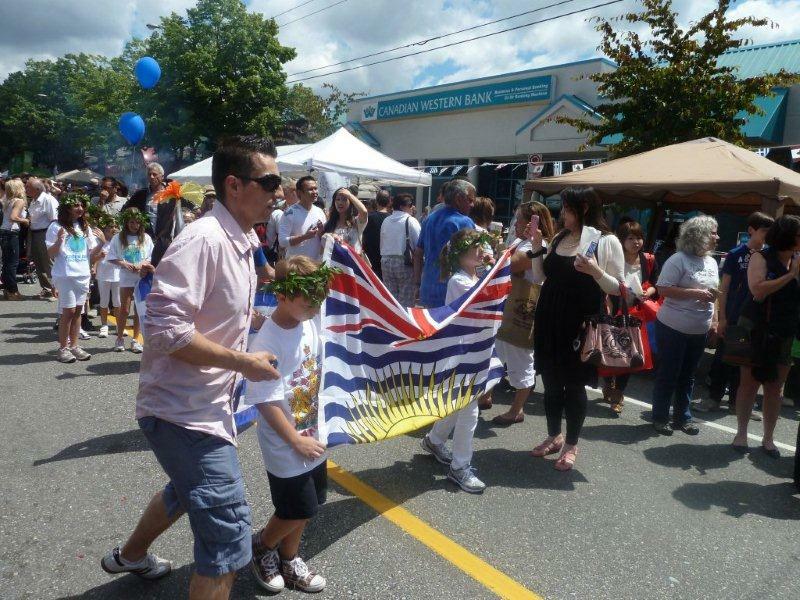 Burnaby is very privileged to have Peter’s enthusiasm, commitment, dedication, and high energy supporting our local. 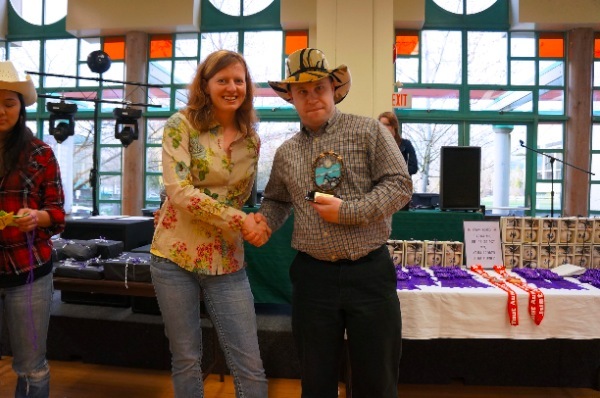 Congratulations, Peter, on your award! 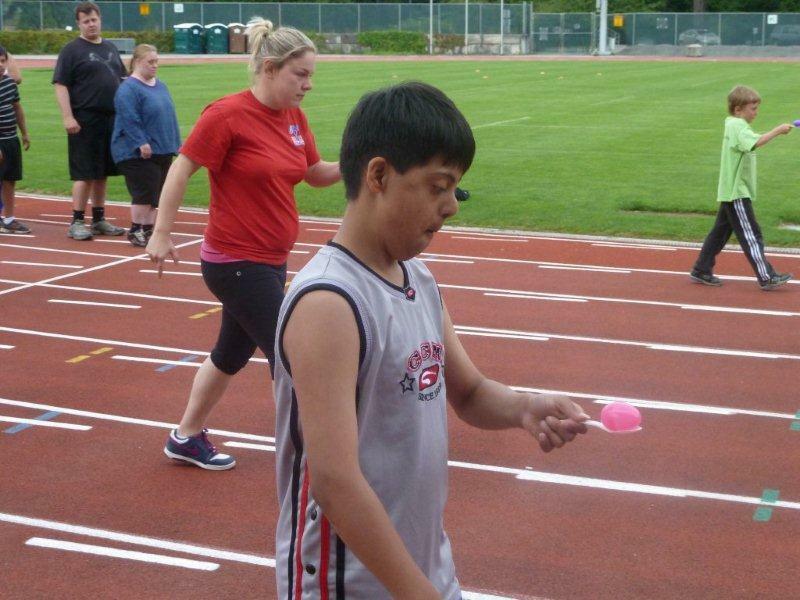 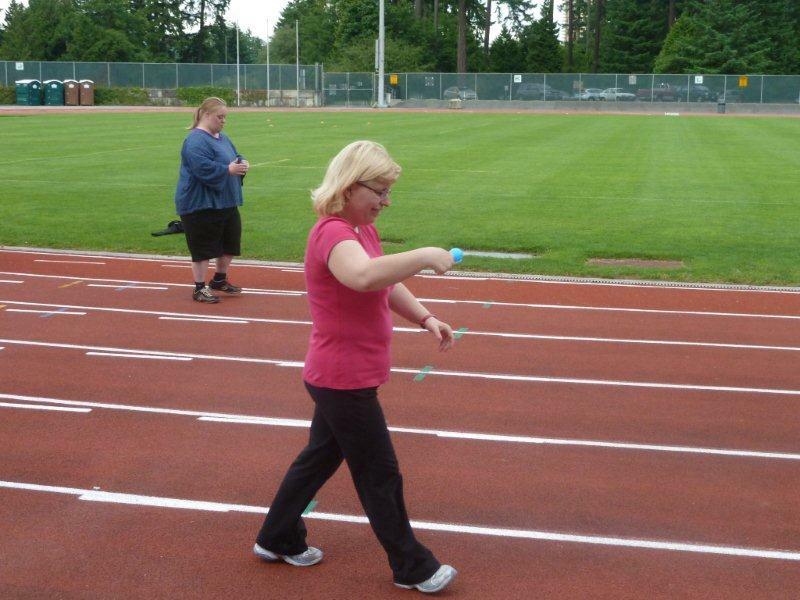 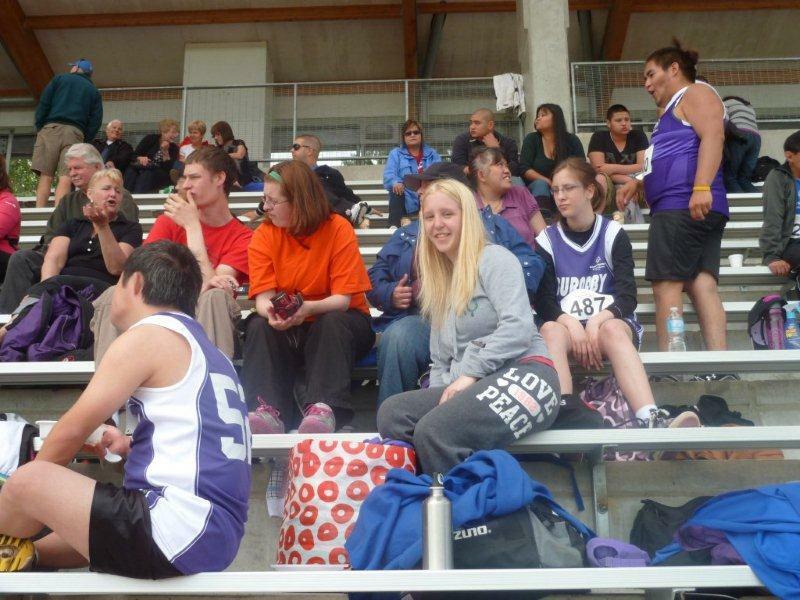 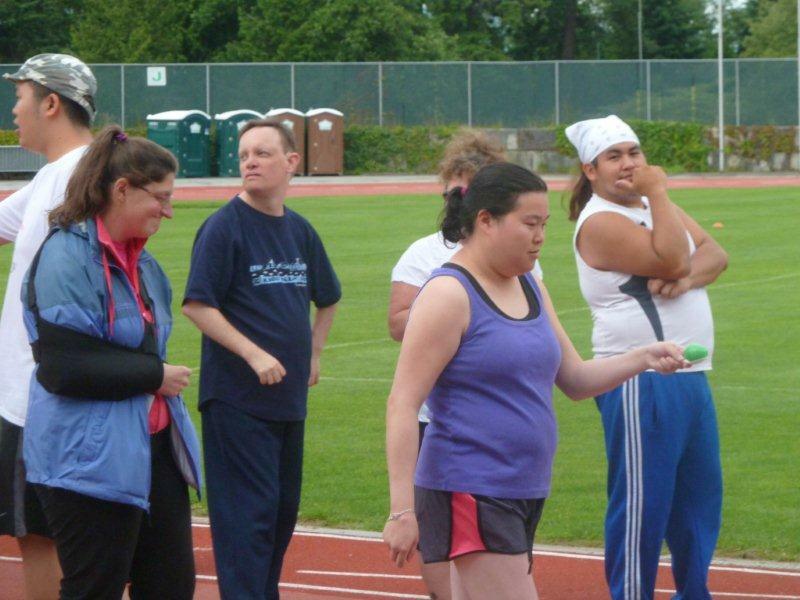 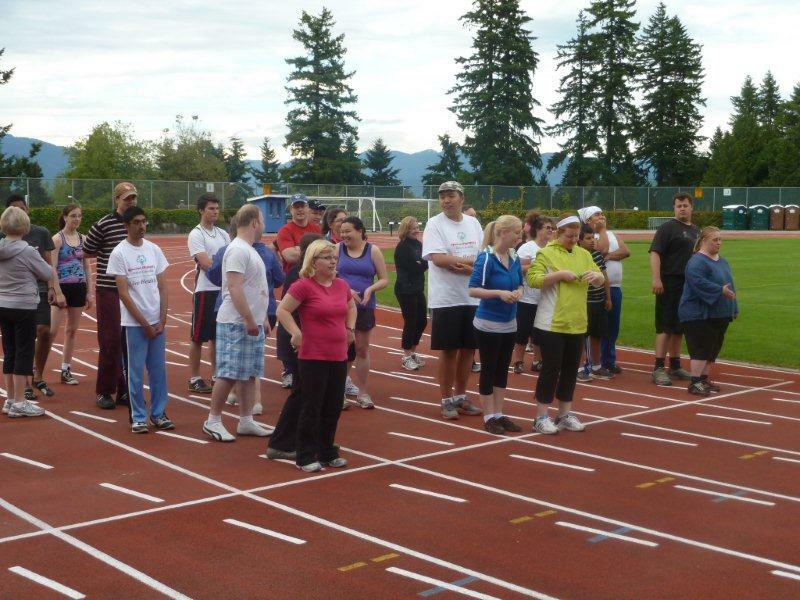 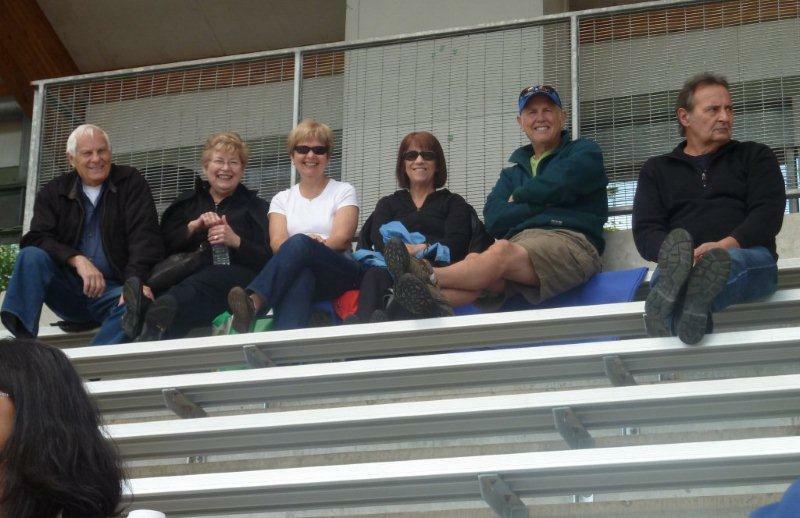 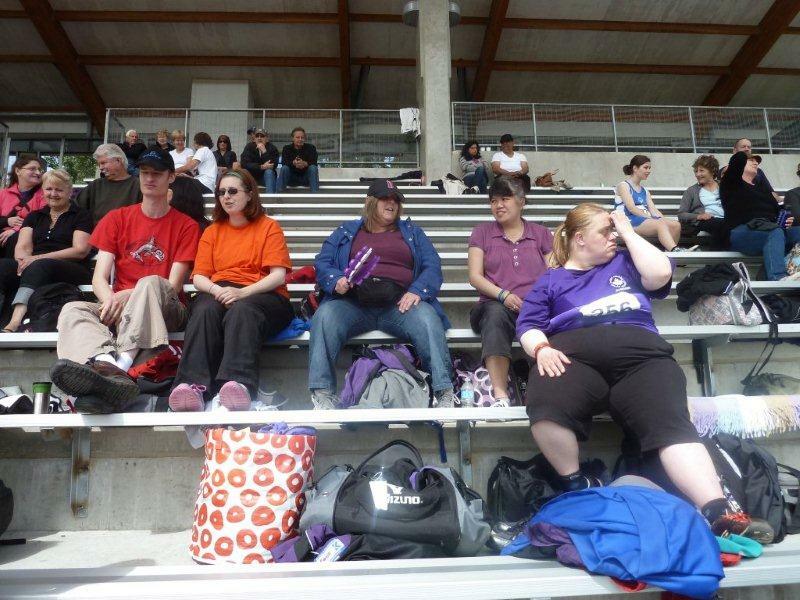 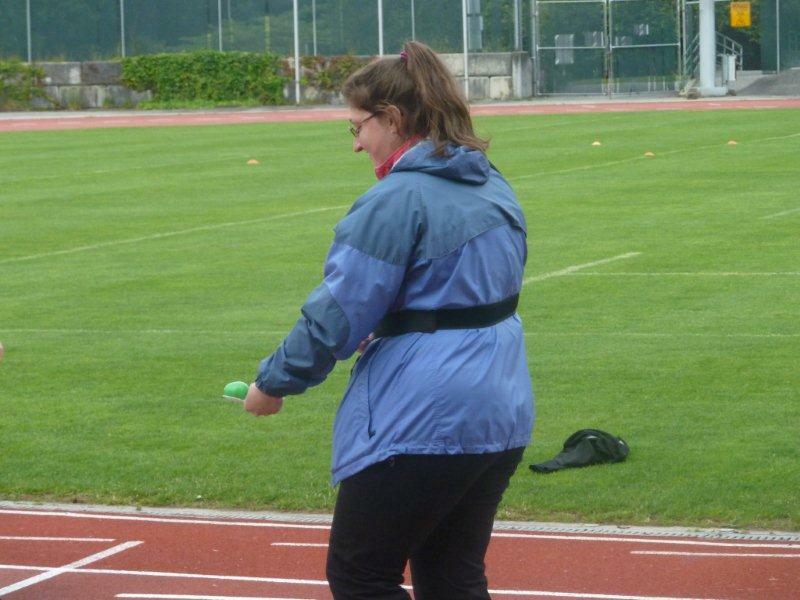 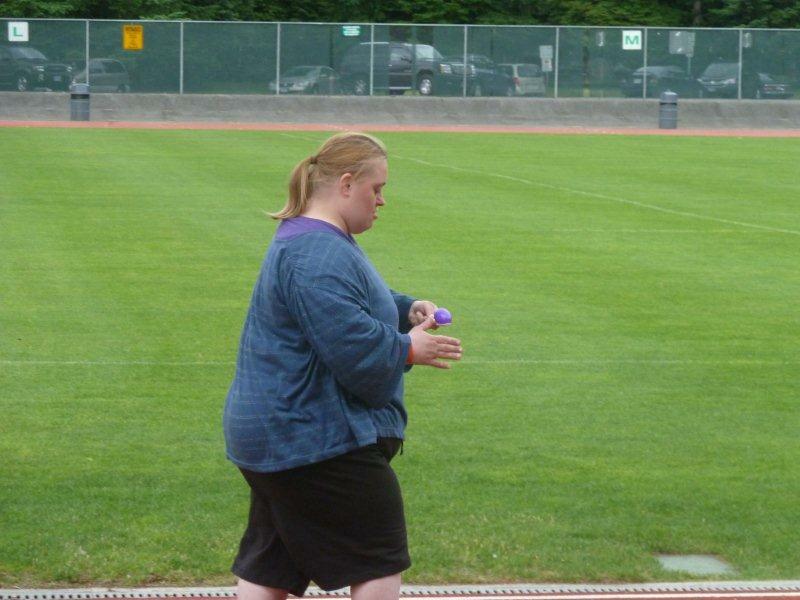 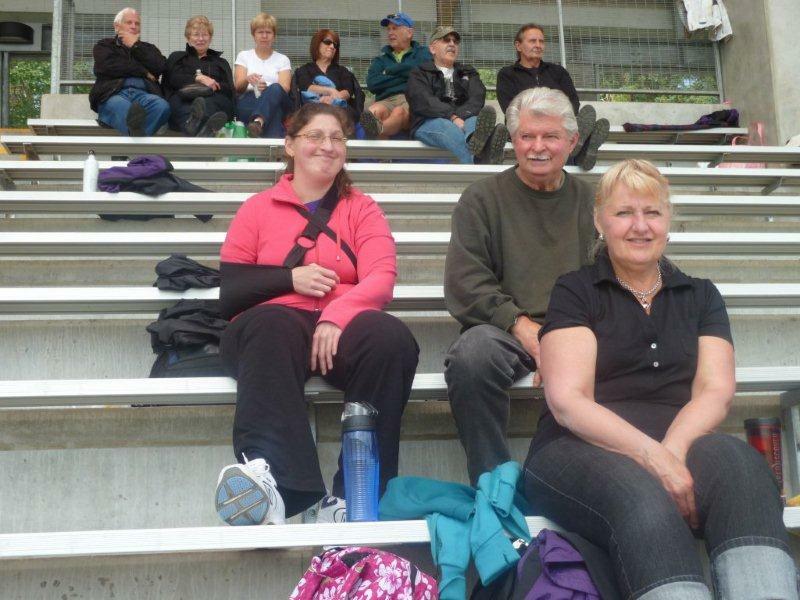 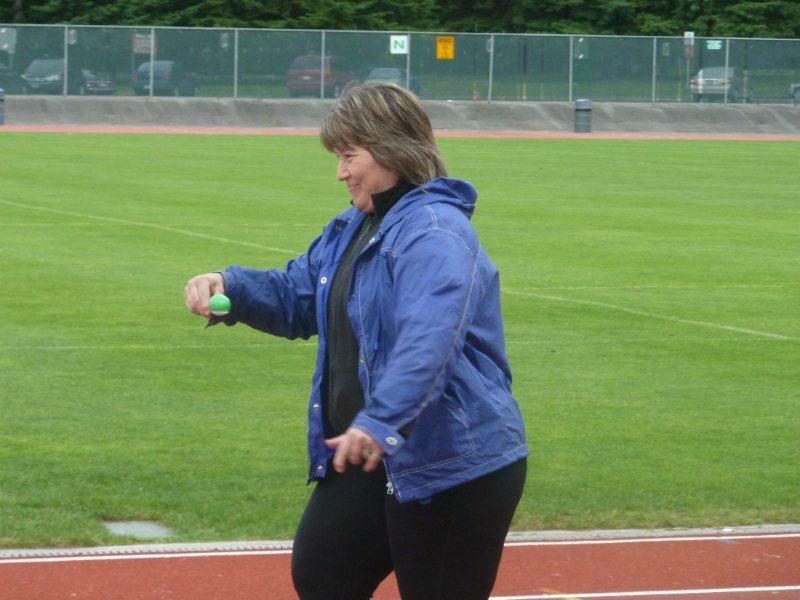 25 athletes along with coaches and supporters attended the Athletics Regional qualifier held in Langley. 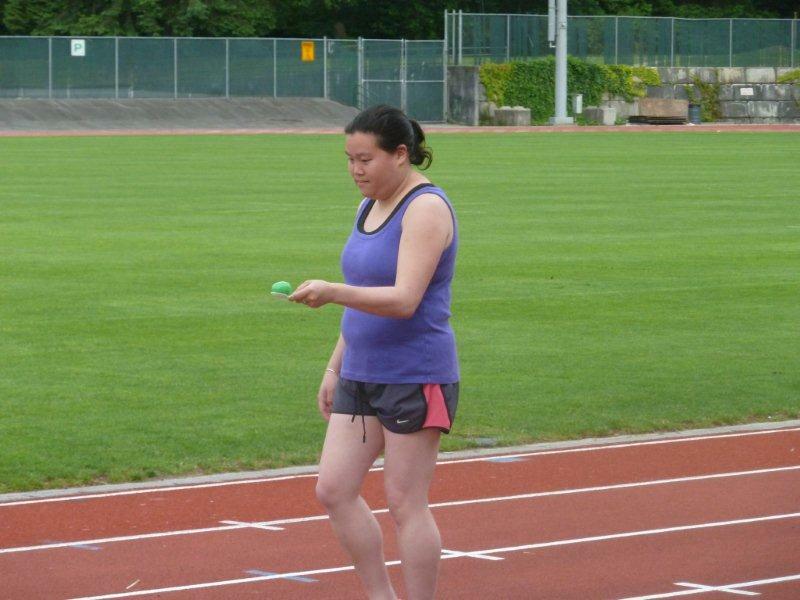 The weather forecast called for rain but luck was on side with overcast skies until the final event which was the 3000m. 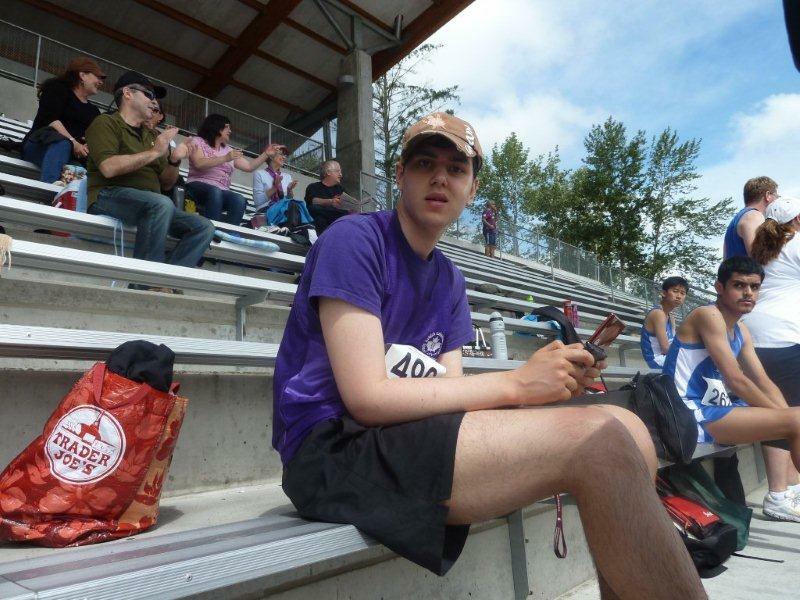 Kyle managed to finish his event just as a thunder and lightning storm started to brew. 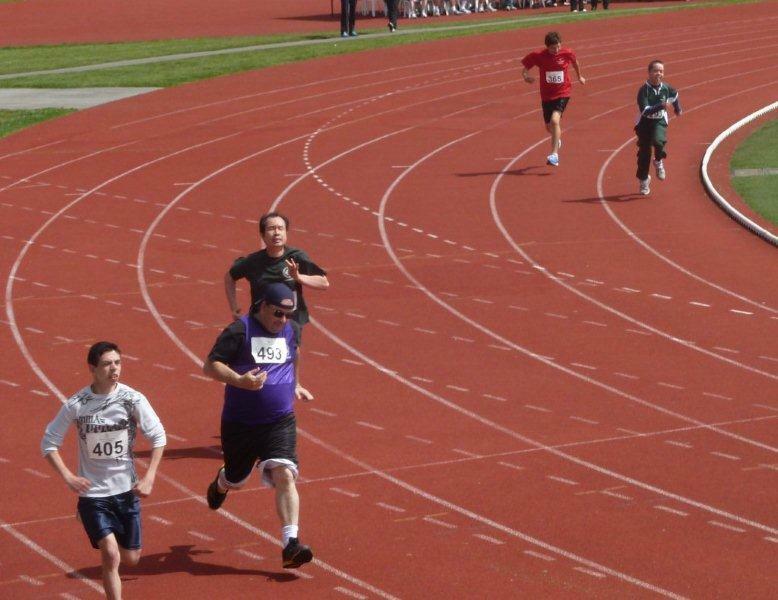 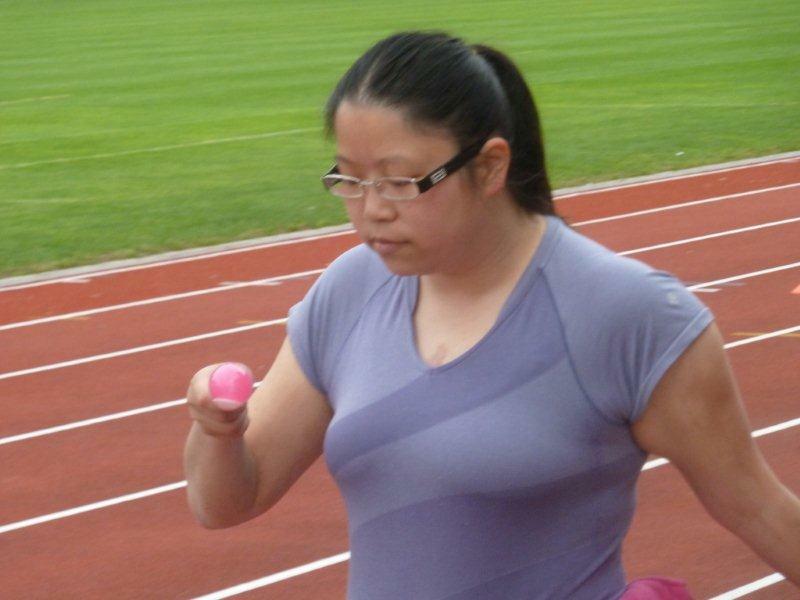 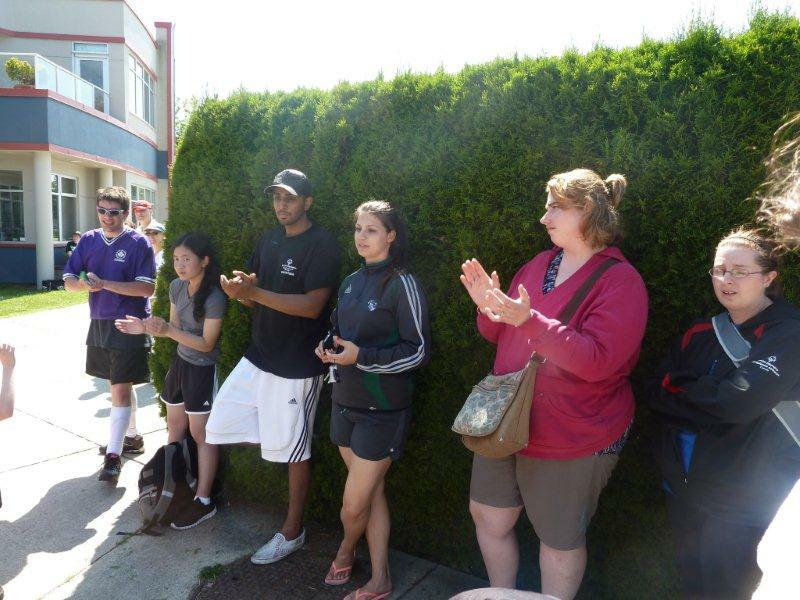 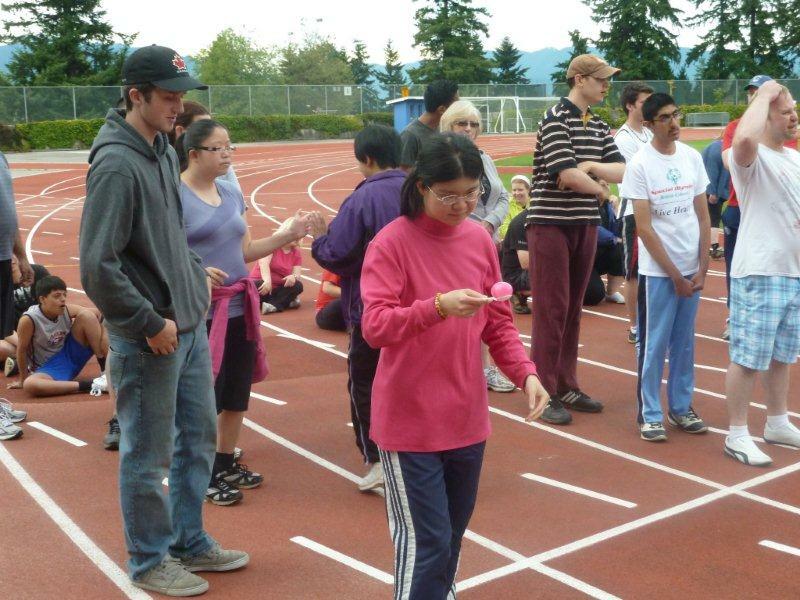 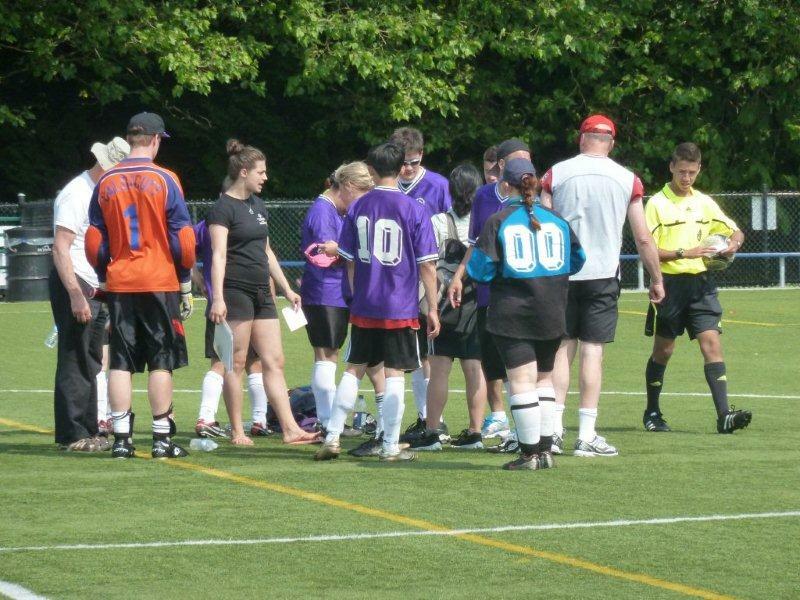 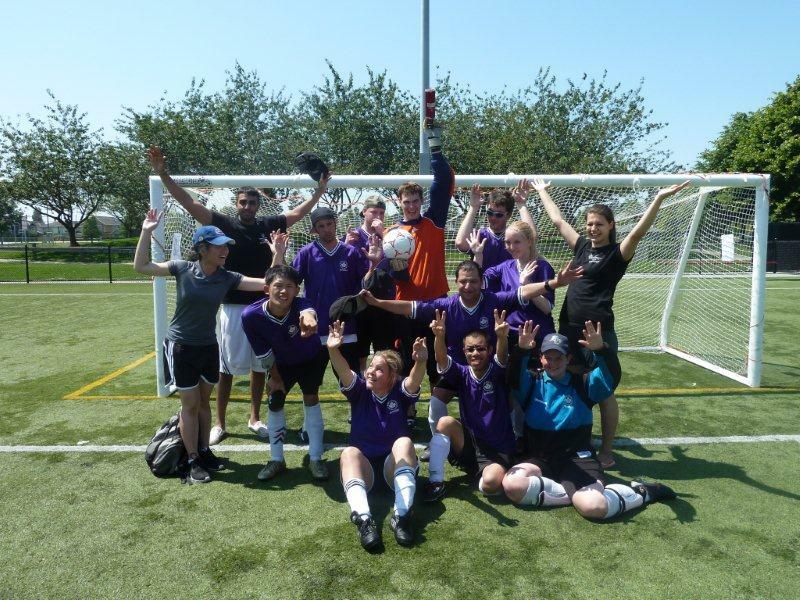 Burnaby athletes competed against athletes from locals around the province. 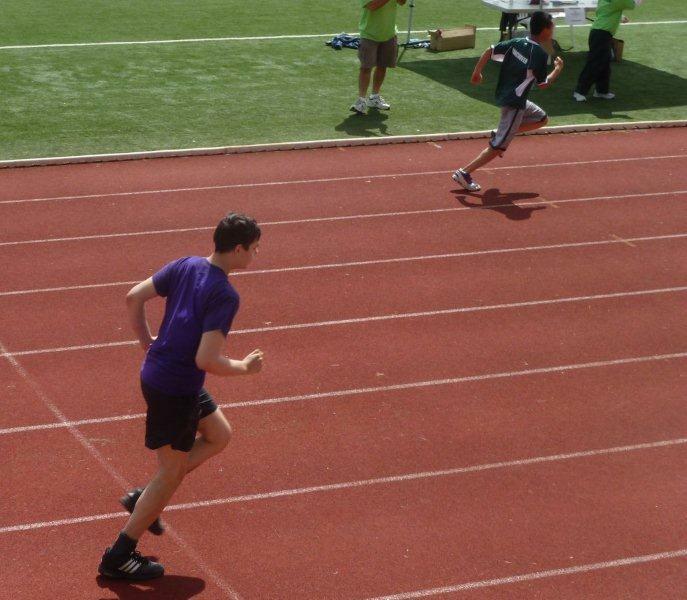 They ran fast, and jumped & putted far! 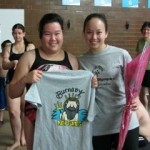 Many ending their events with personal bests! 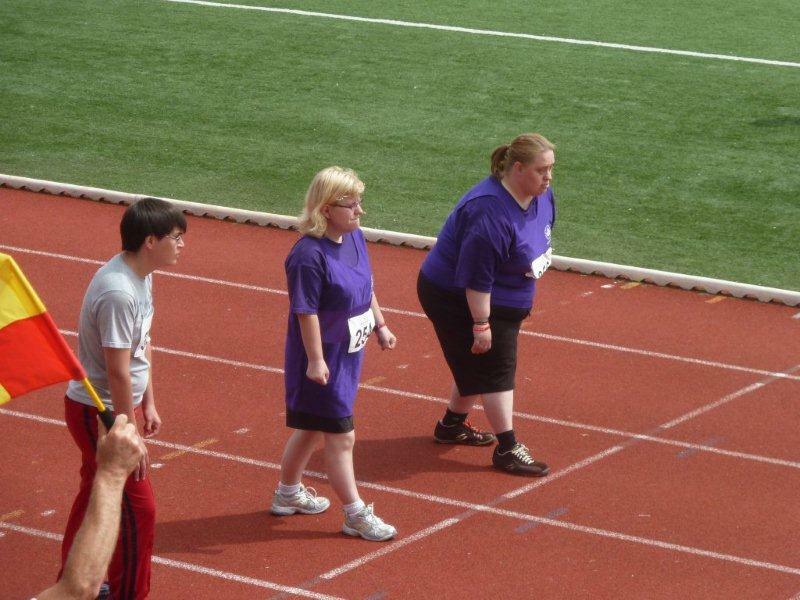 Congratulations & good luck to all the athletes who competed in this qualifier! 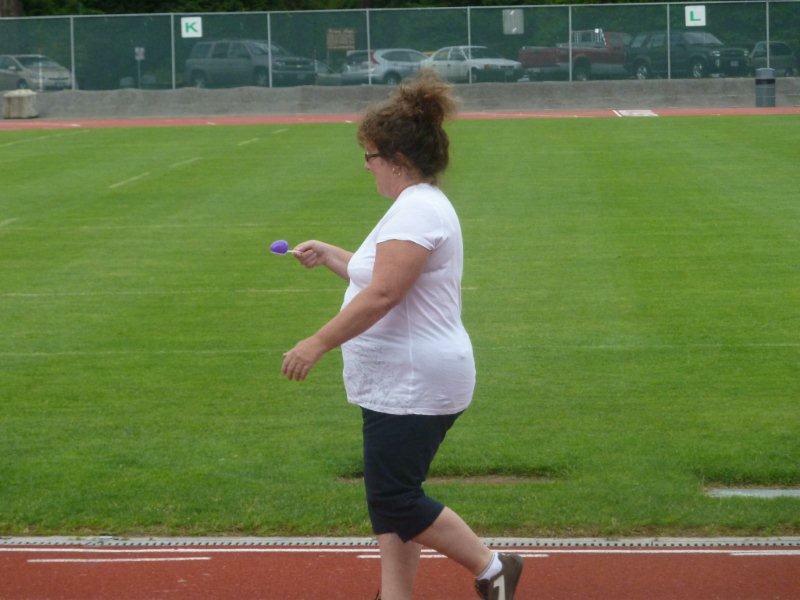 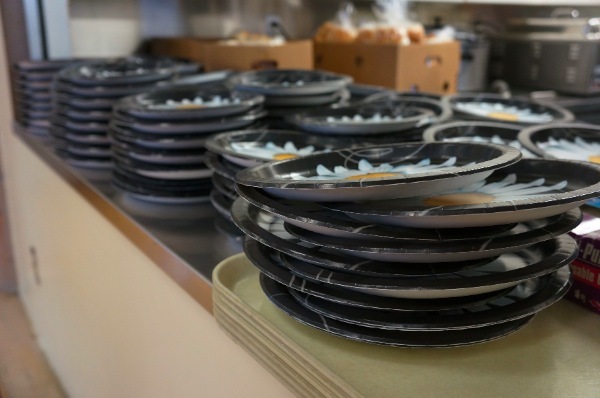 Thanks goes to Kathy for taking great photos of the day! 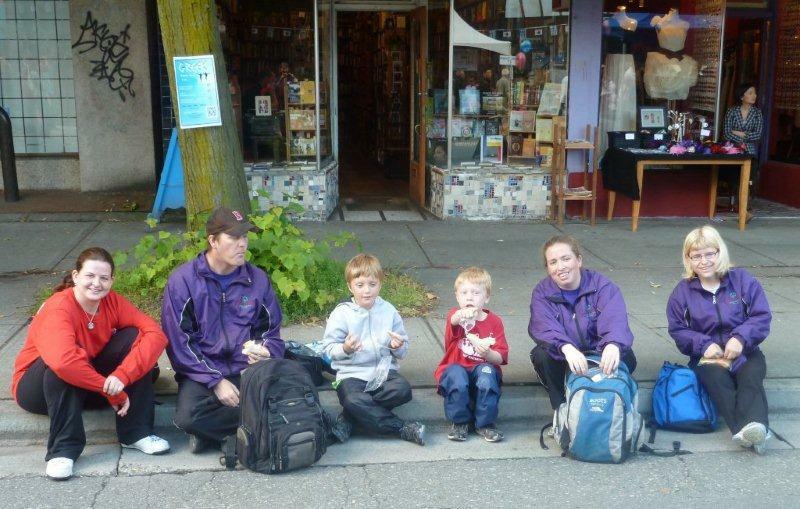 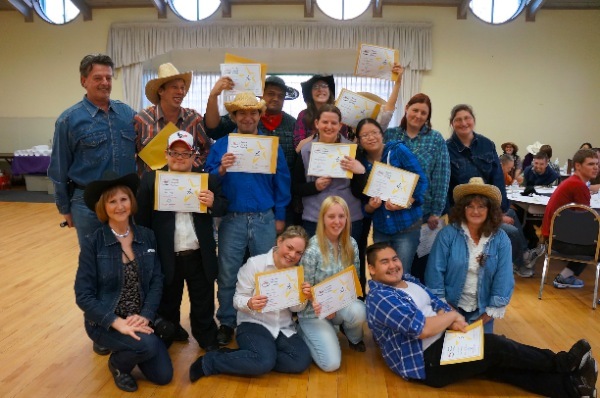 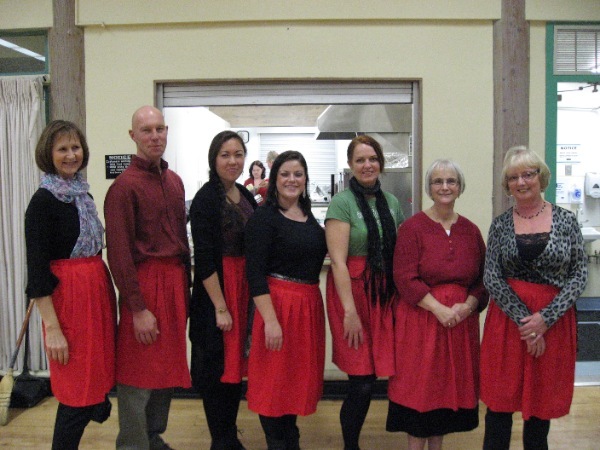 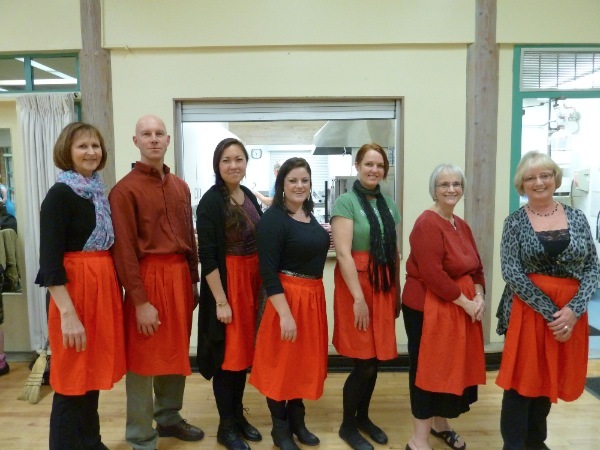 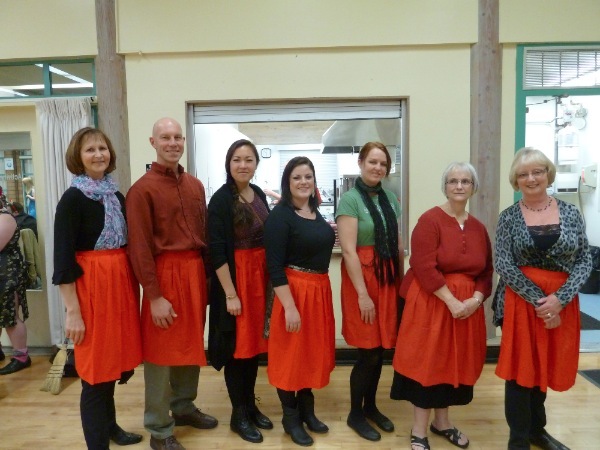 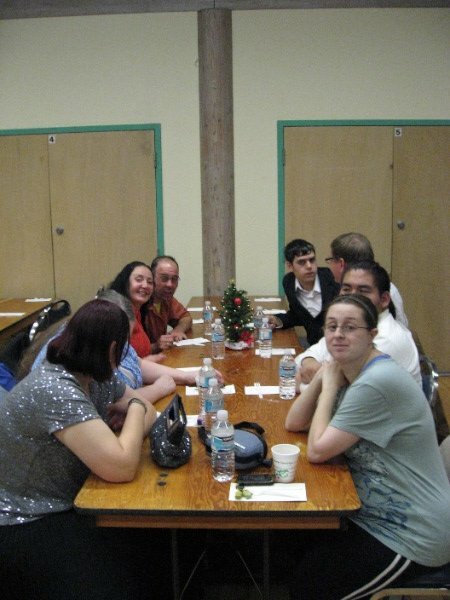 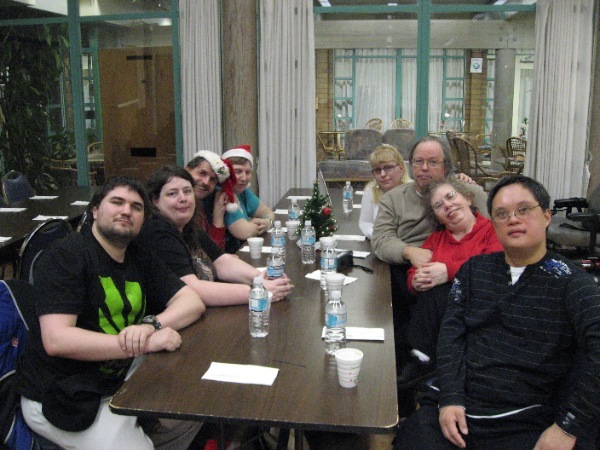 Coaches Brenda, Debra, Joanne, Mason, Michael, Peter, Rick, Rowena, & Ron. 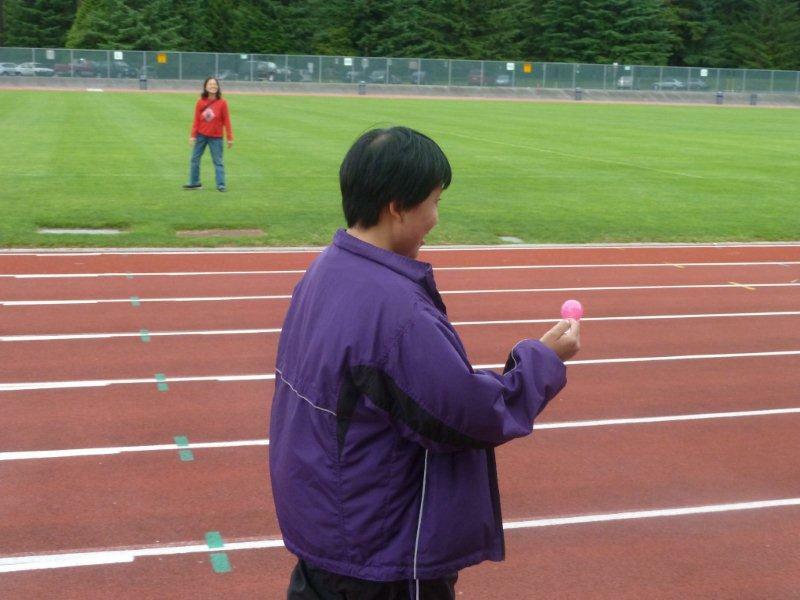 Now tradition, the last practice of the year is full of FUN sports day events. 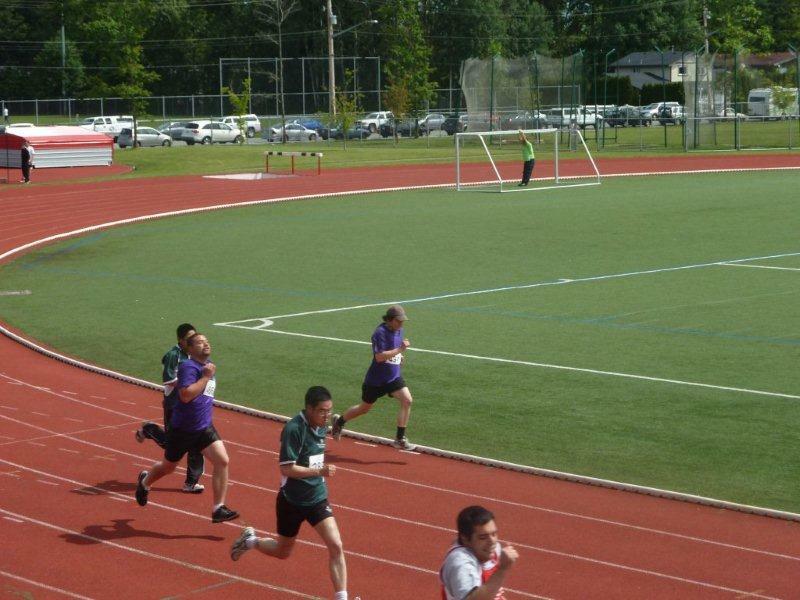 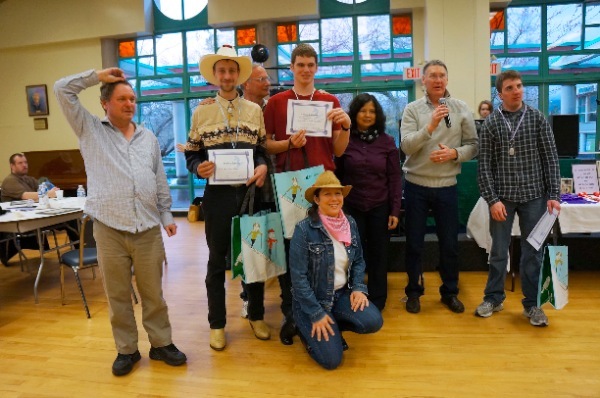 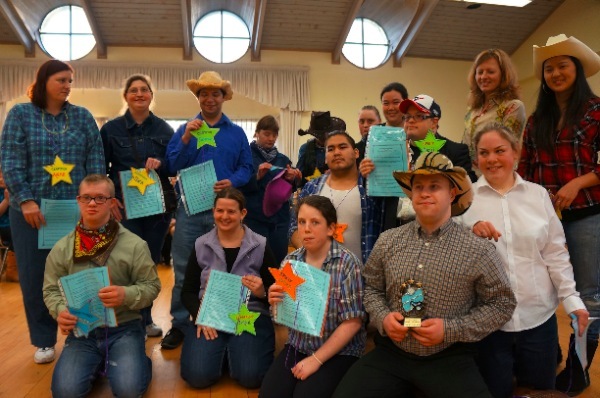 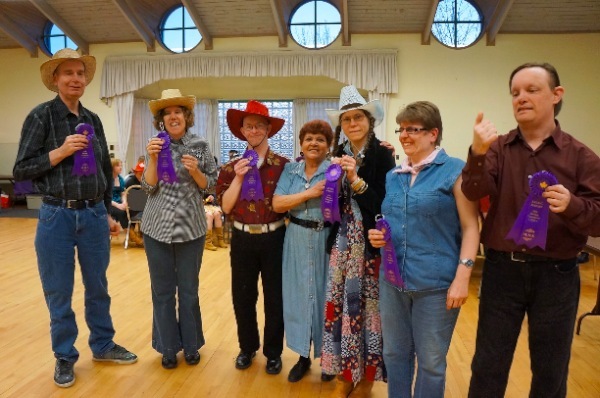 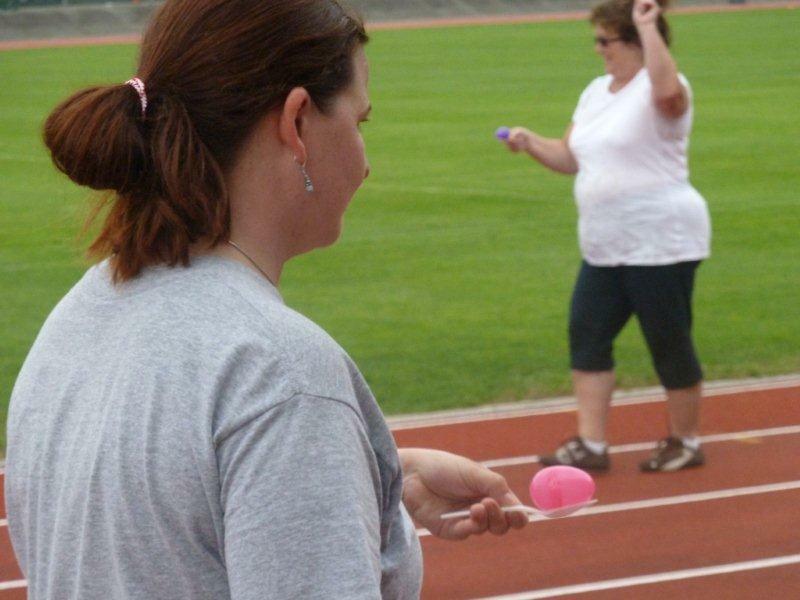 This year, athletes were divided into 4 teams and competed for bragging rights for 1st place. 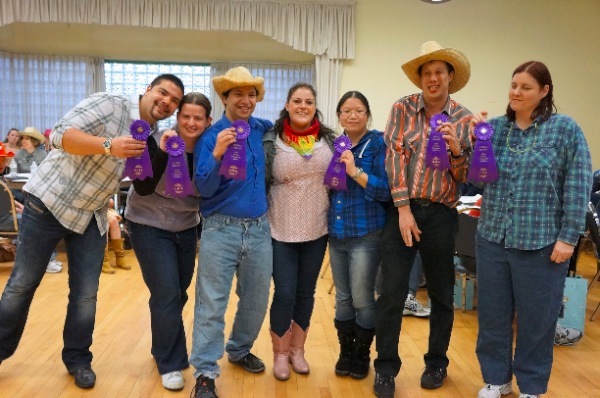 Team B with coach Ron took 1st place… they were unbeatable in most events! 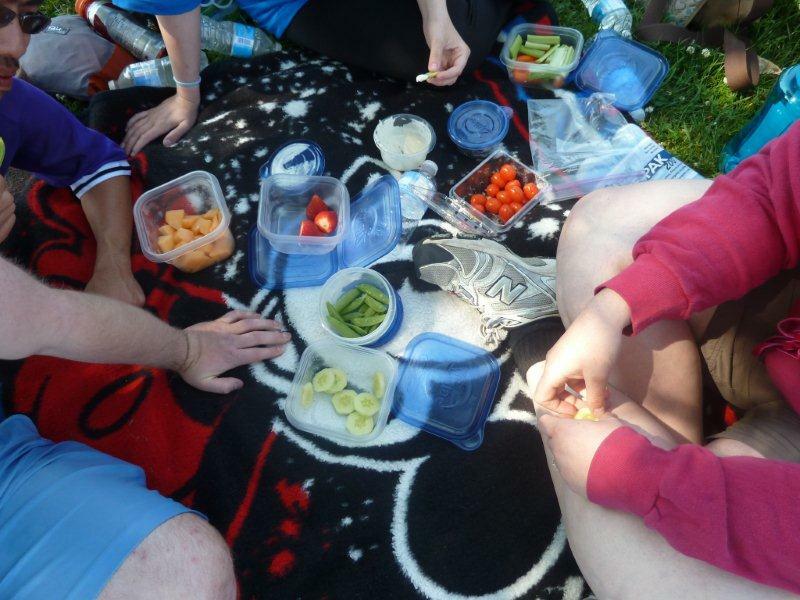 The practice ended with watermelon and freezies! 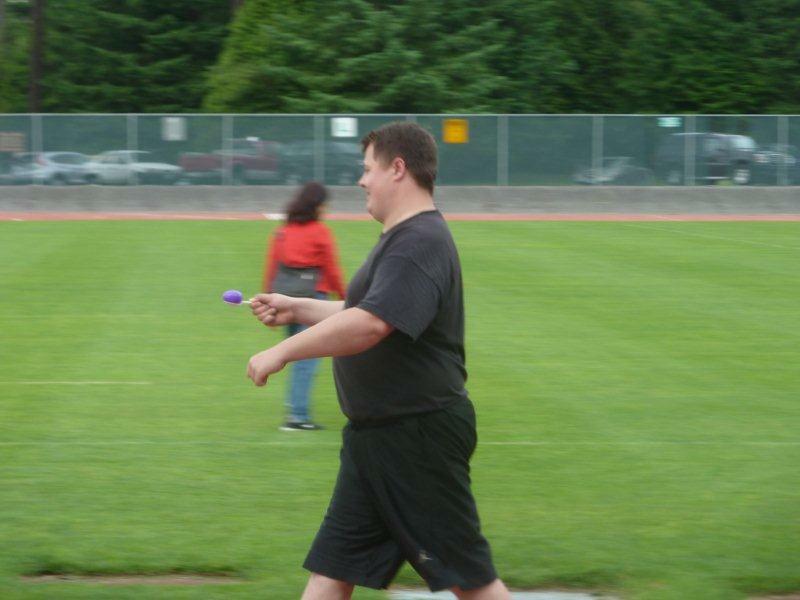 Thanks to all the Athletics coaches and athletes for another great track season! 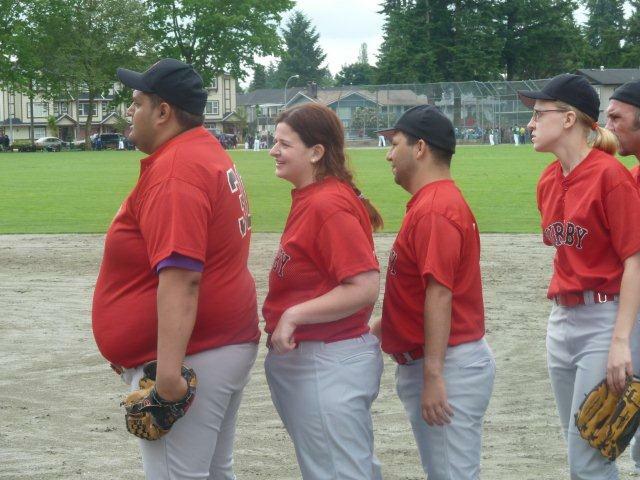 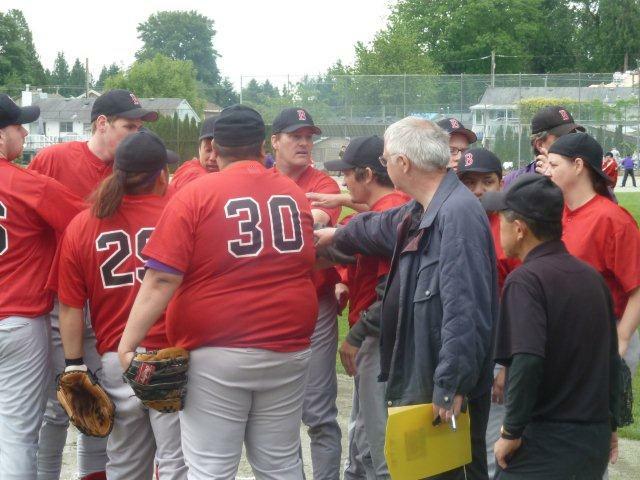 A true regional match with Burnaby, Delta, and Richmond playing in the same division. 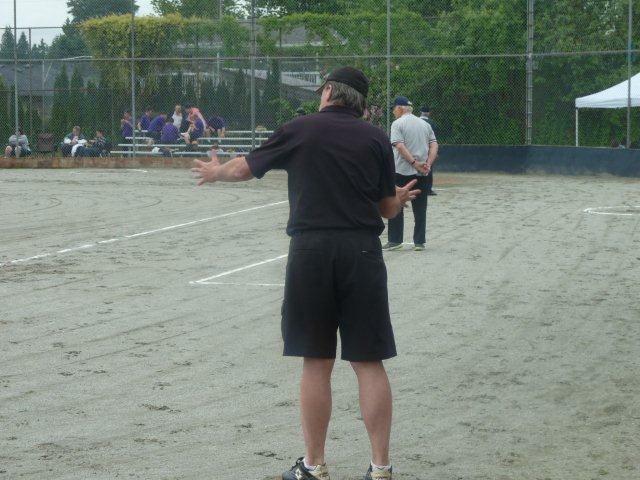 Burnaby team played amazing beating Delta in 2 games to put them in the finals against Richmond. 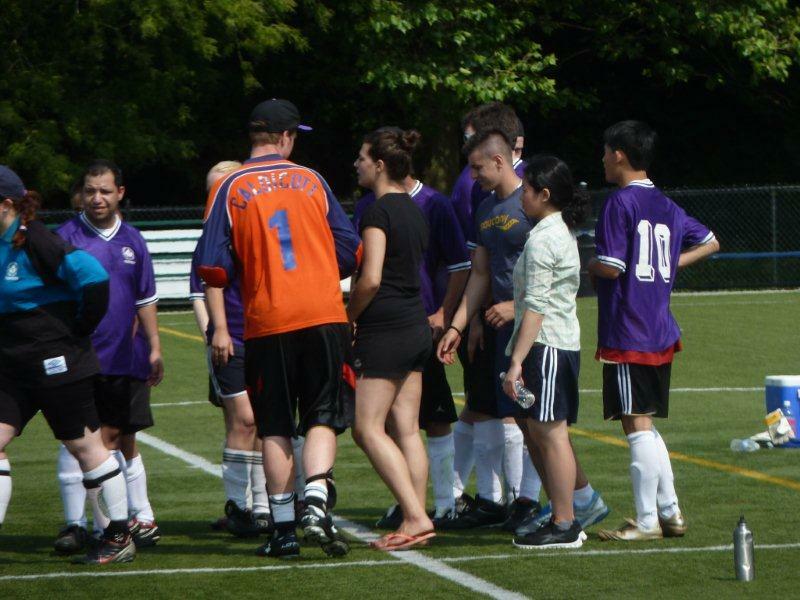 Both teams were well matched but Richmond came out on top taking 1st place. 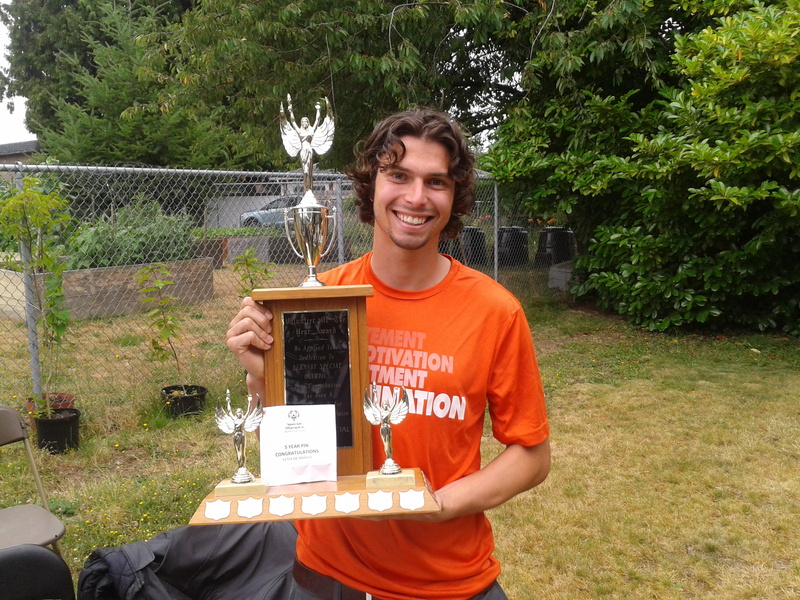 Patrick was awarded MVP for Burnaby and Doug was awarded for his outstanding play on the field. 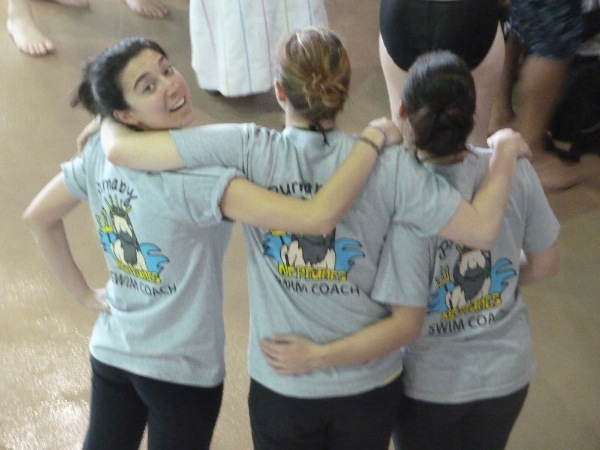 Coaches Saltana, Parm, and An did a great job preparing the team for competition. 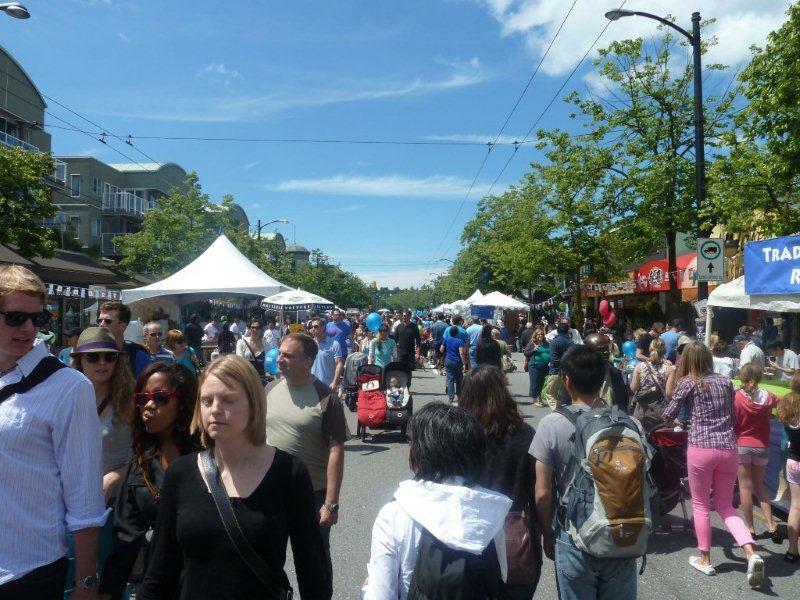 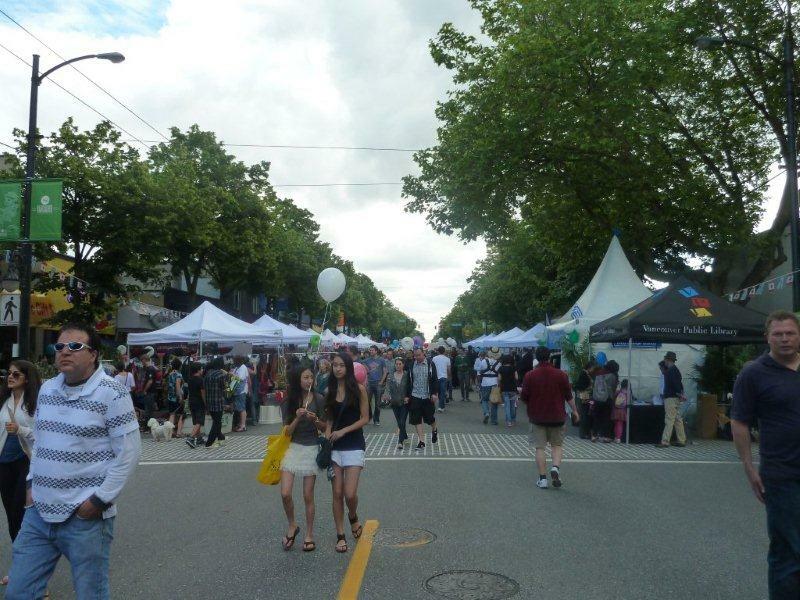 Festival is to increase cultural awareness and communication of Vancouver’s multifaceted society. 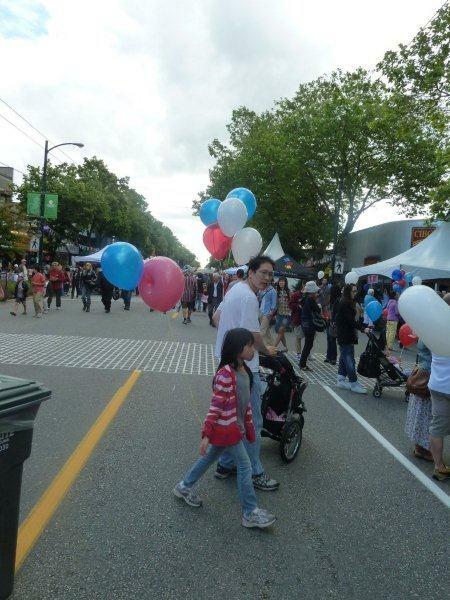 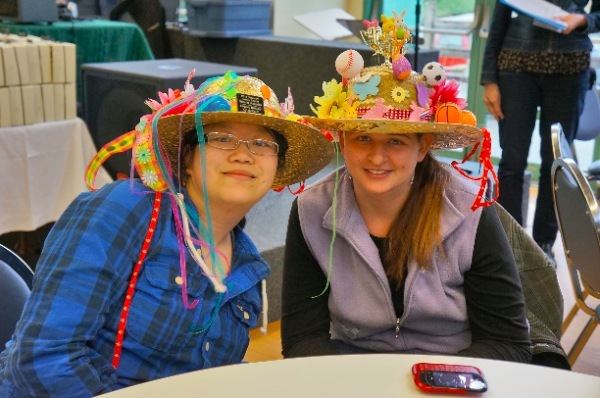 Activities celebrated Vancouver’s 125th Anniversary and emphasized Vancouver as the best liveable city in the world. 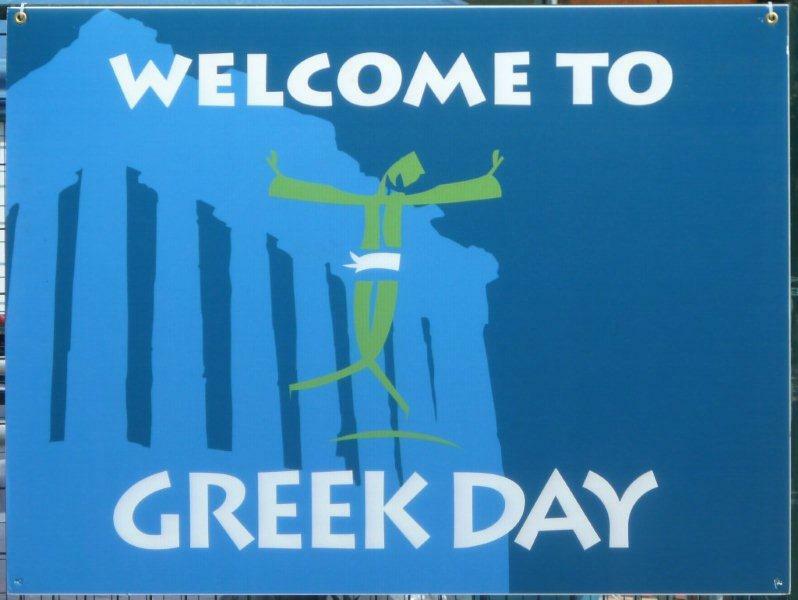 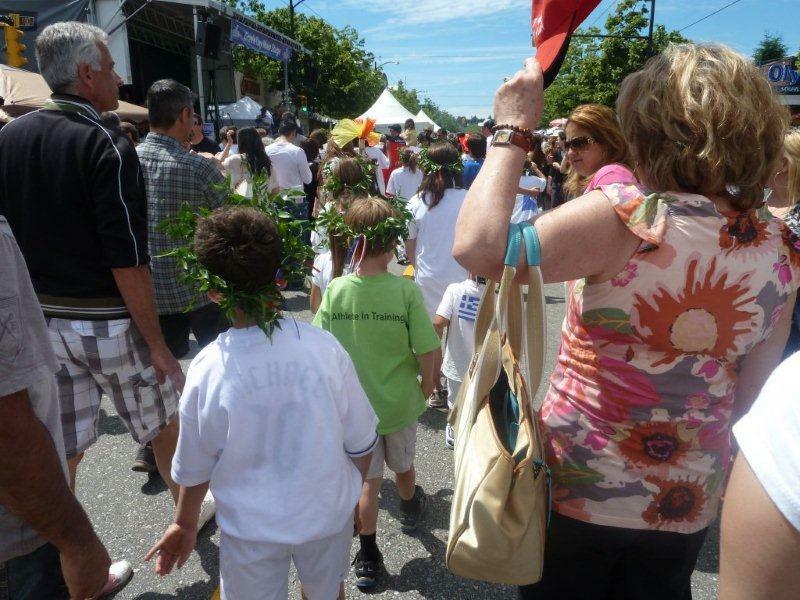 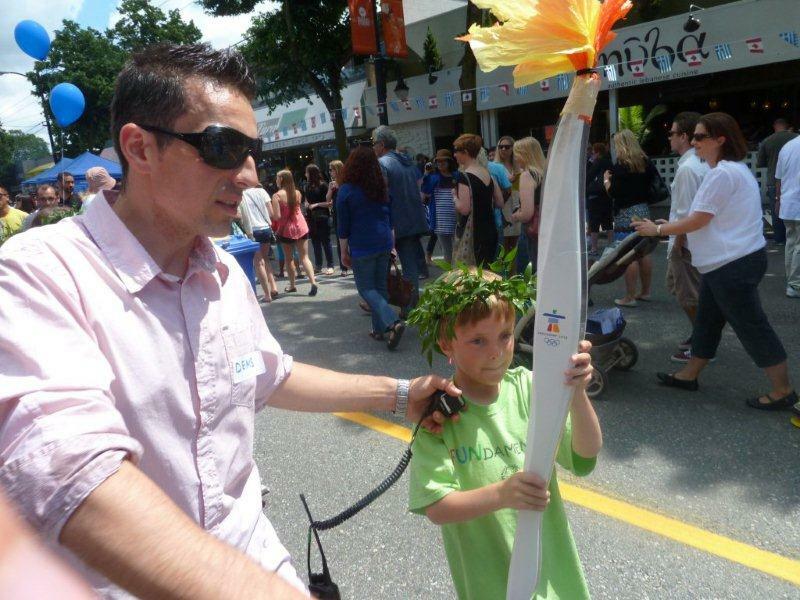 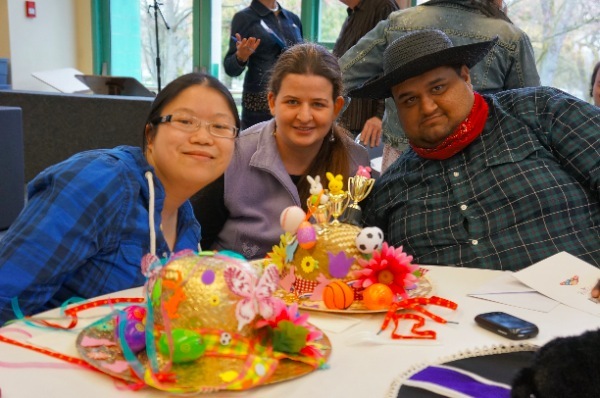 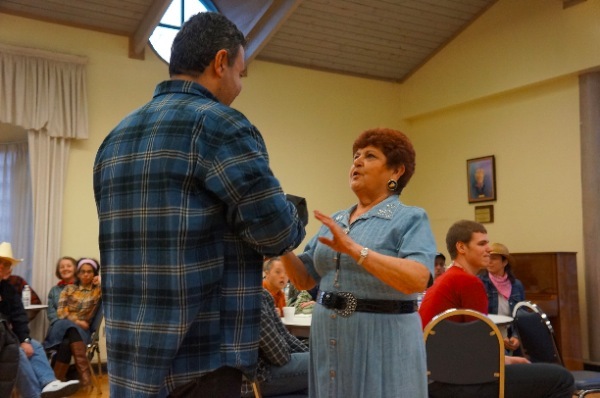 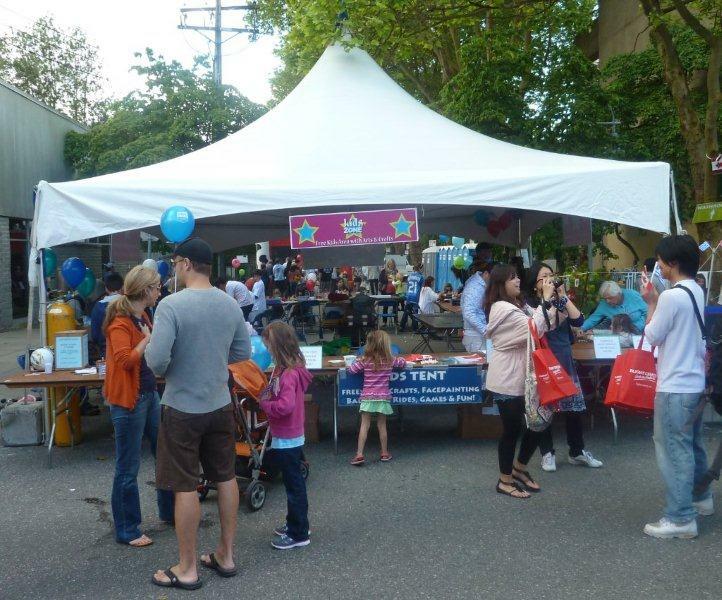 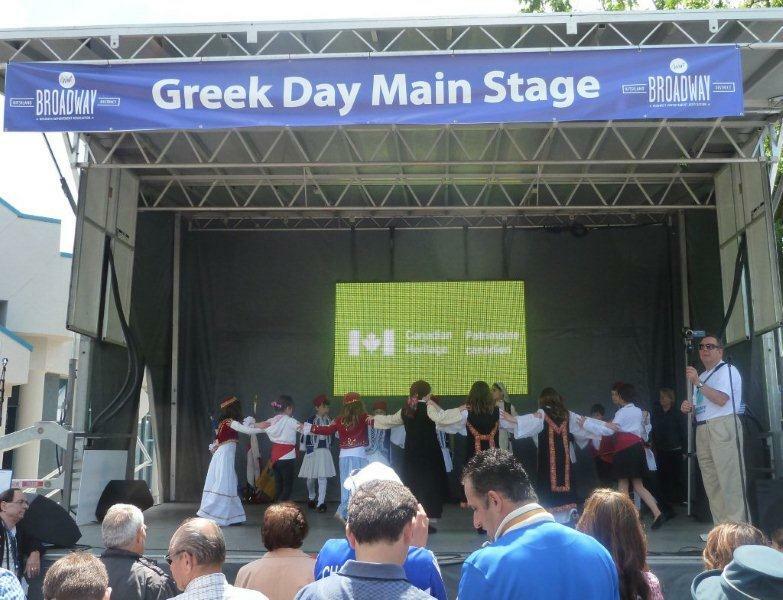 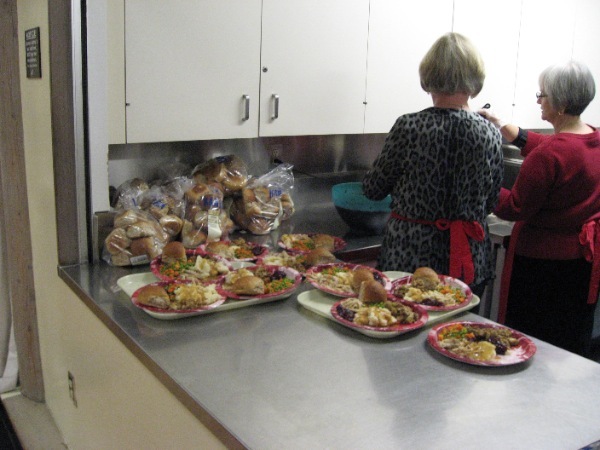 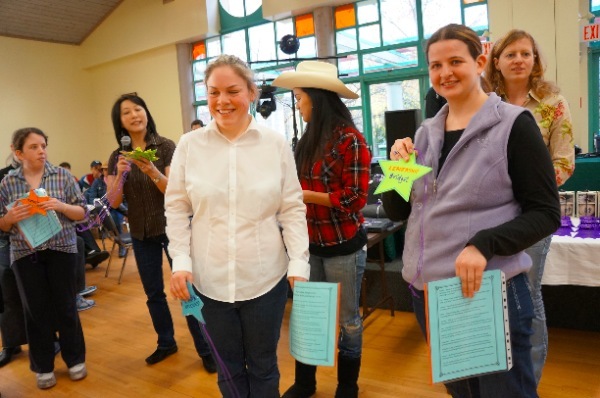 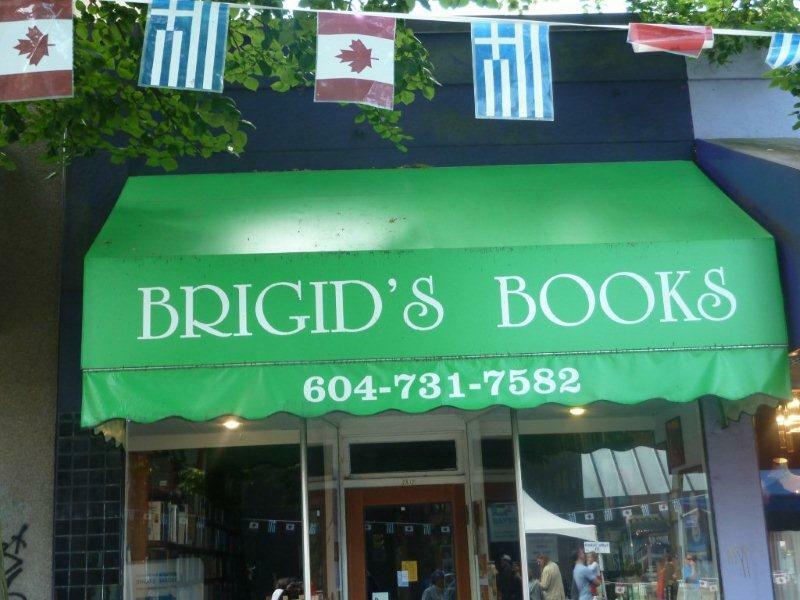 Activities focused mostly on art, history, crafts, dance, music, mythology, presentations/lectures, literature and learning about the social and cultural contributions the Greek community have made to the City of Vancouver. 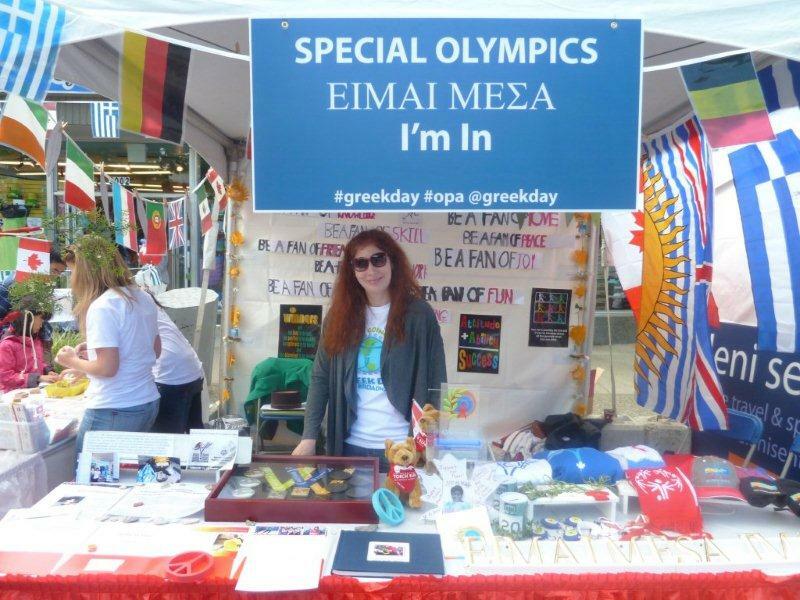 Eleni Georgantas hosted a booth to raise awareness for Special Olympics. 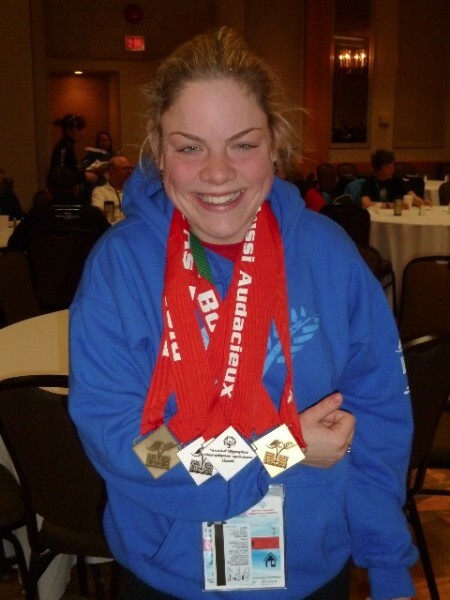 Bridget Colvin brought down her snowshoeing medals and photo journal for display in the booth. 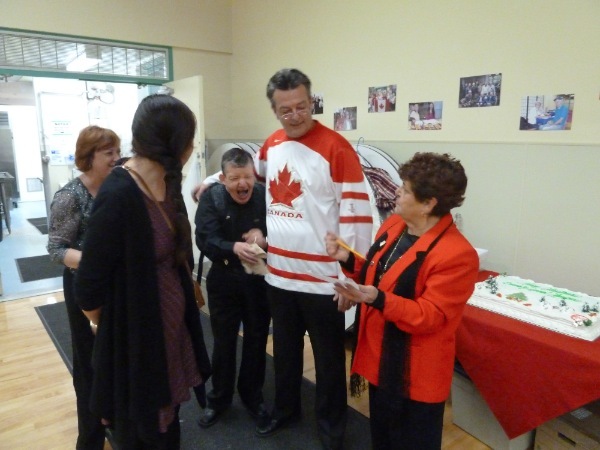 There was an activity table for young and old at heart to make cards from olive leaves to wish good luck to Team Canada athletes going to Korea for 2013 Winter World Games. 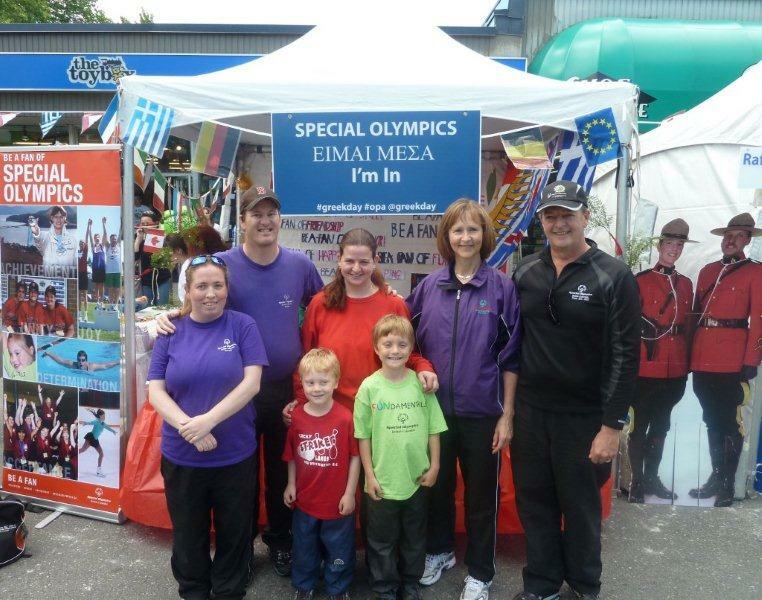 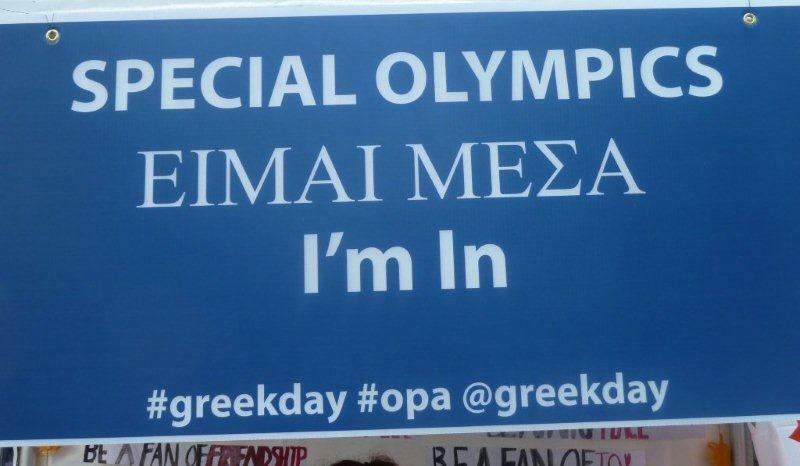 Eleni has been an incredible advocate raising awareness and promoting community inclusion for Special Olympics athletes. 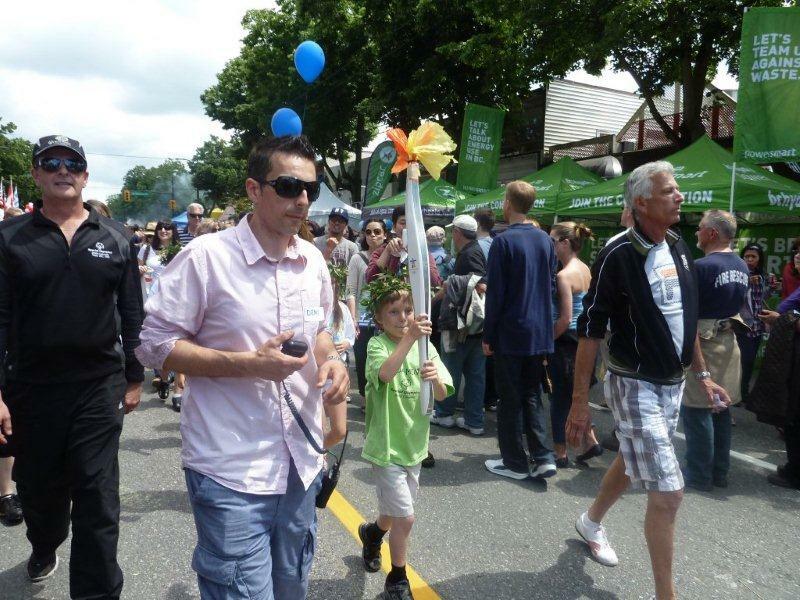 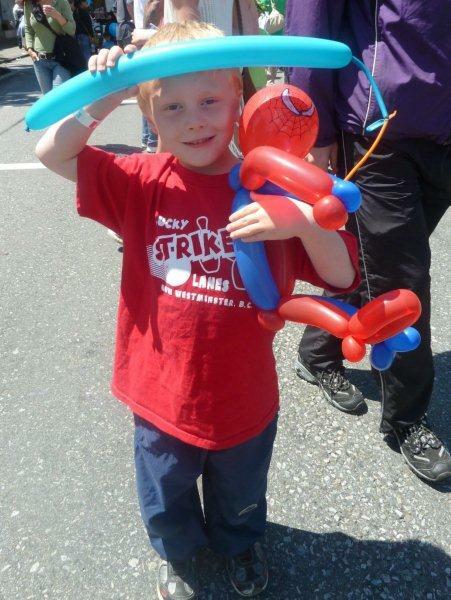 In addition, Jayden Holt, one of Burnaby’s youngest athletes participated in the torch relay to kick off opening ceremonies. 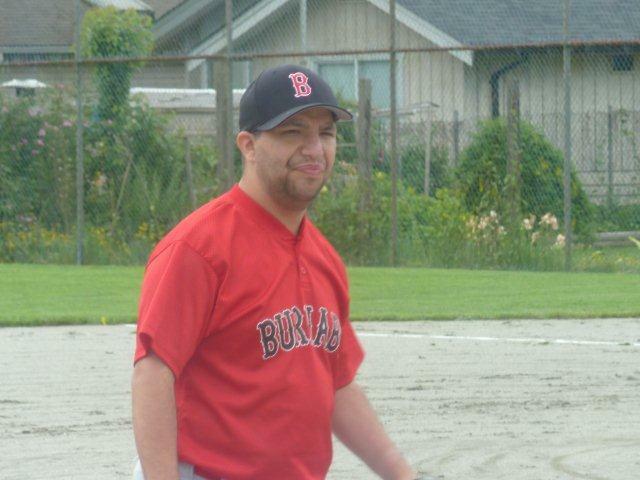 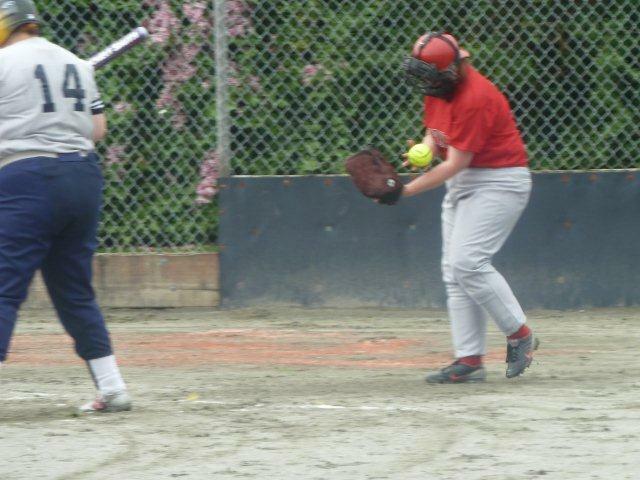 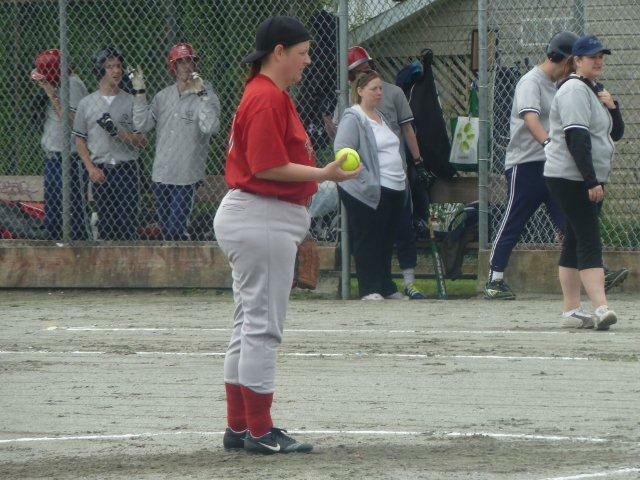 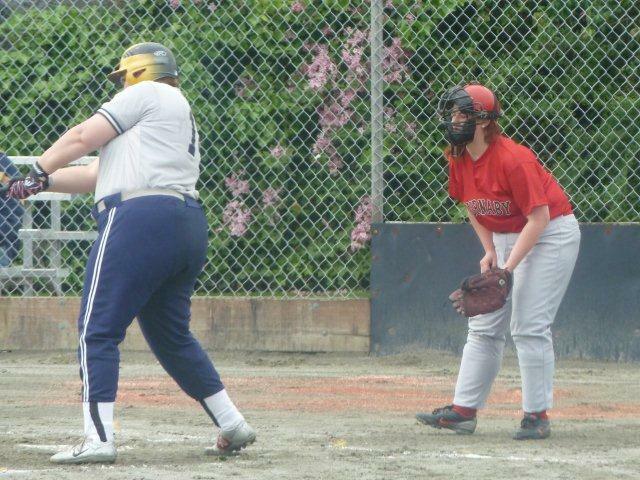 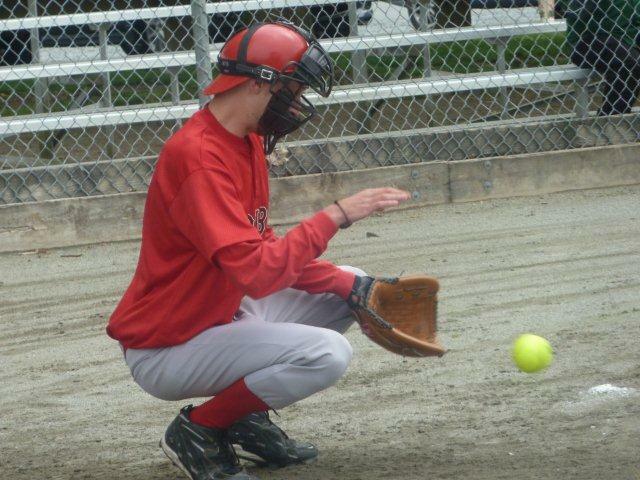 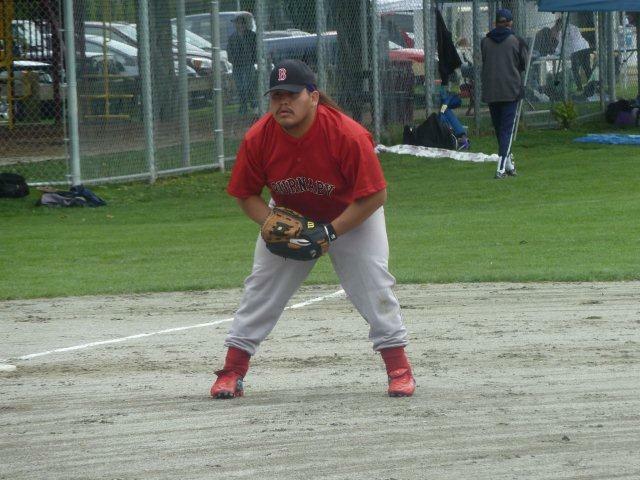 Burnaby Red Sox takes 1st place in Division B at the Coquitlam Regional Softball tournament held at McLean Park June 2nd & 3rd. 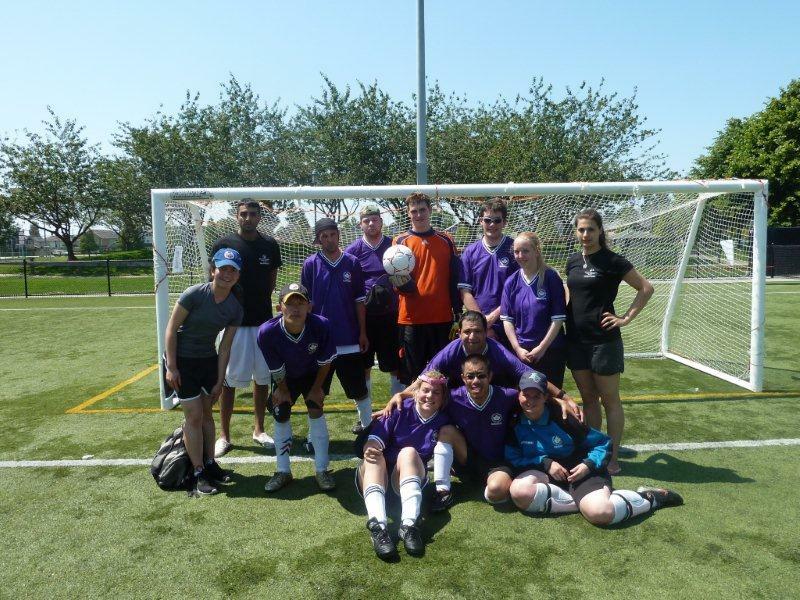 There were 3 divisions of 6 teams, 18 teams in total attended from around the province. 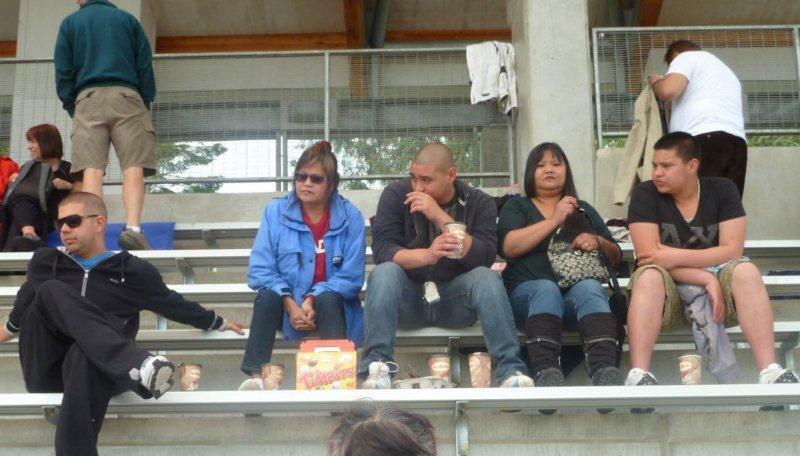 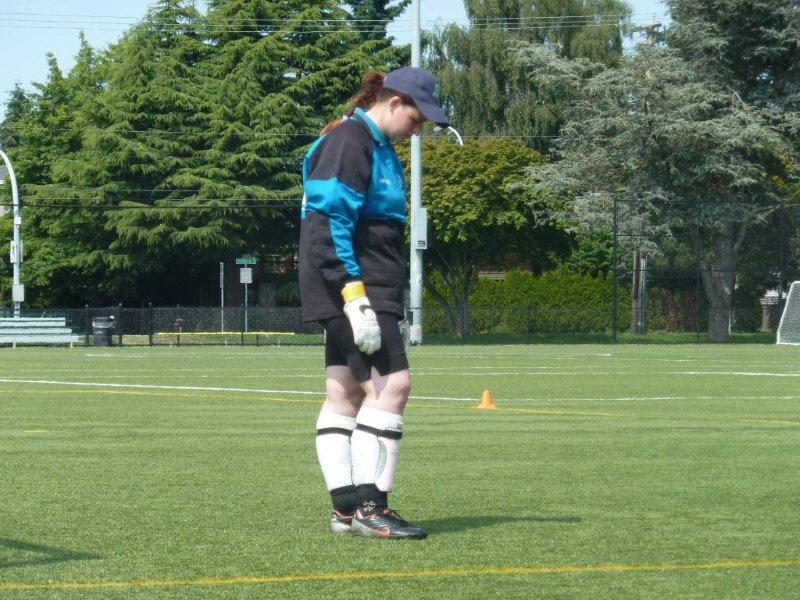 Saturday, Burnaby won games against Vancouver and Delta to place them into the final on Sunday. 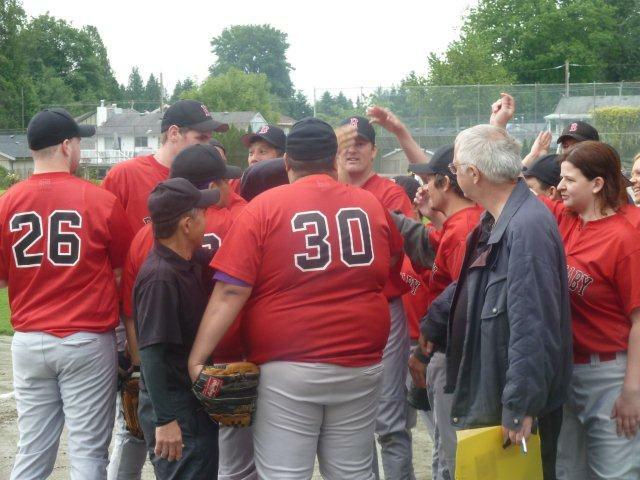 The final was an exciting game against Kamloops with Burnaby winning 10 – 6. 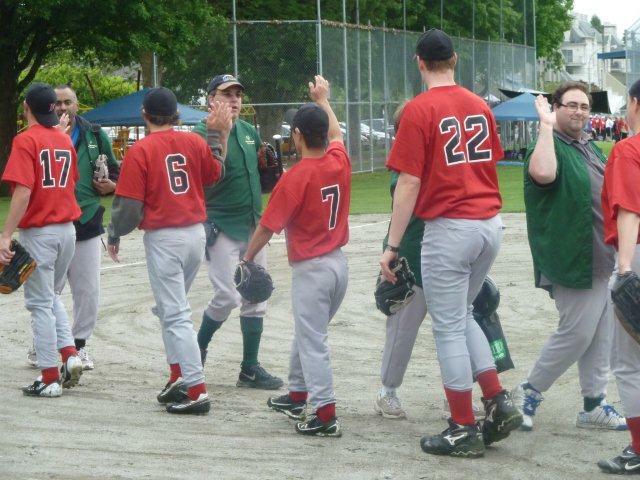 Congratulations to Burnaby Red Sox players and coaches! 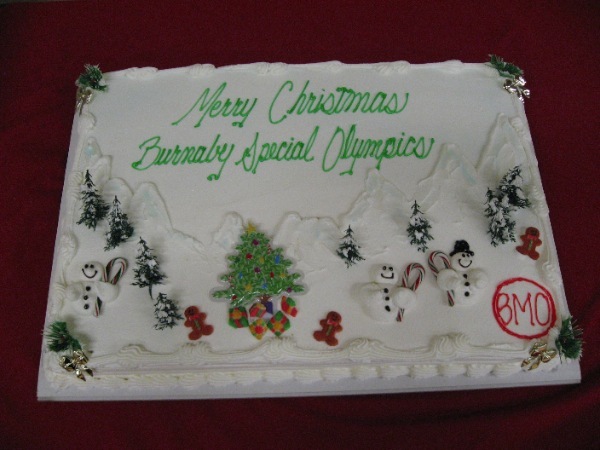 For SOBC – Burnaby snowshoeing athlete Katie Little, the third day of competition at the 2012 Special Olympics Canada Winter Games started like this: coach Maureen came in to get her moving for the day, and Katie opened her eyes and said, “I won a gold medal!” Then she kissed the gold medal she captured in Thursday’s 100m race, the first medal she had ever earned at a National Games. 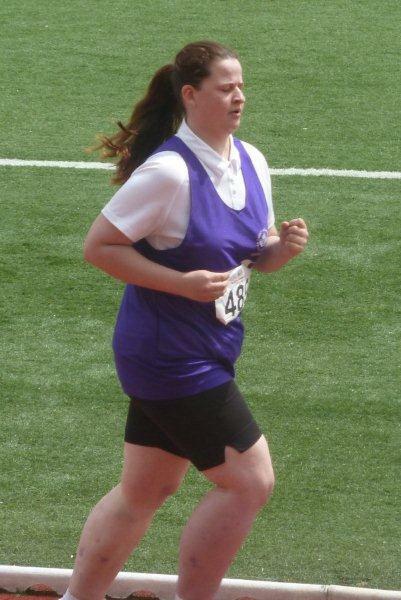 Katie captured this gold medal in a really tight race with family members on hand cheering her across the line. 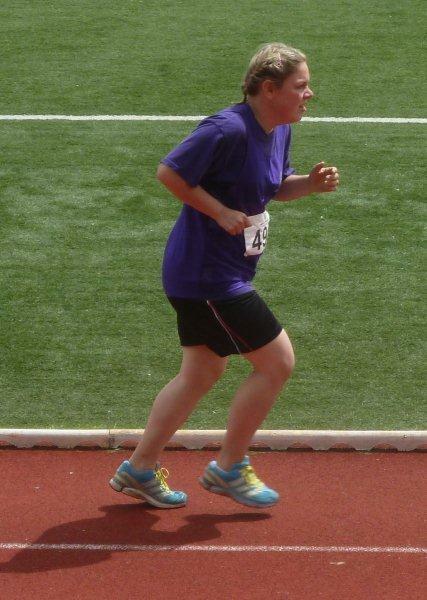 The rest of the day brought another medal – silver this time – for Katie in the 400m race. 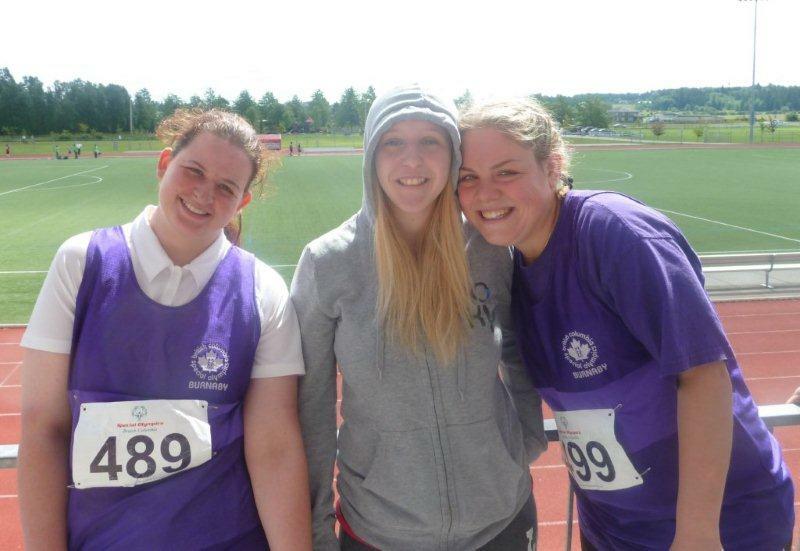 On the final day of competition, Katie won two more medals, another silver in the 200m and then charged to the finish line running the anchor leg of an exciting 4 x 100m relay to complete her set of medals with a bronze. 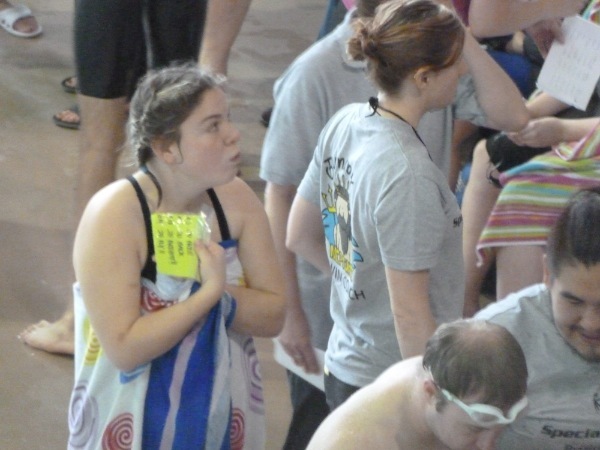 Hard work, dedication, and terrific encouragement from the BC Coaching Staff, resulted in Katie’s outstanding medal performances in all four of her events. 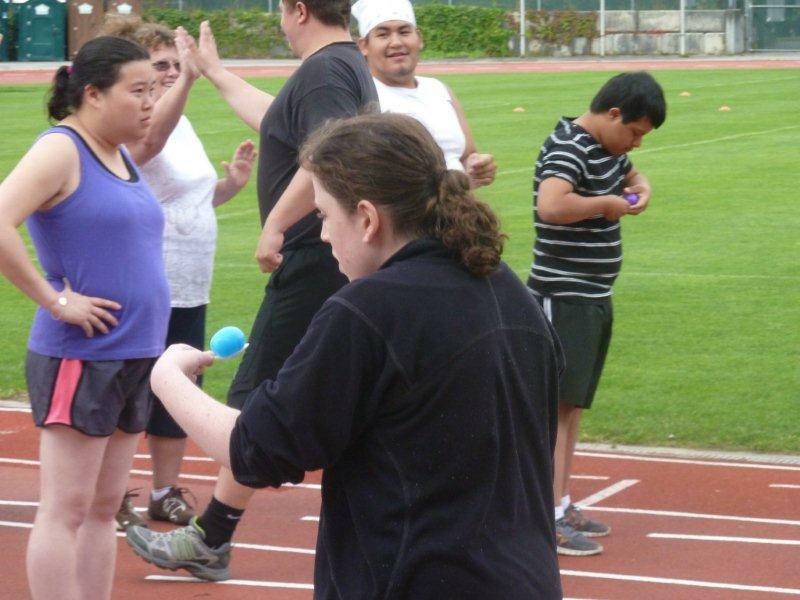 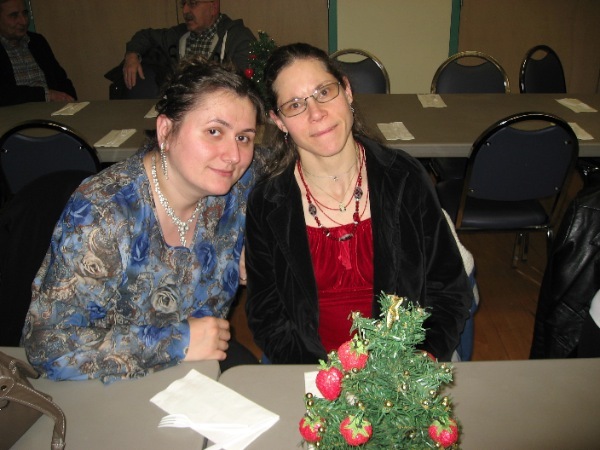 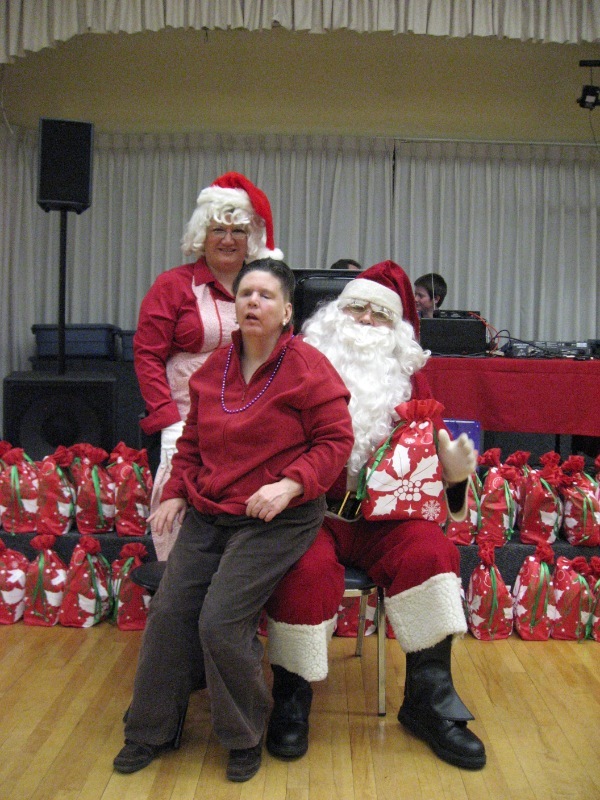 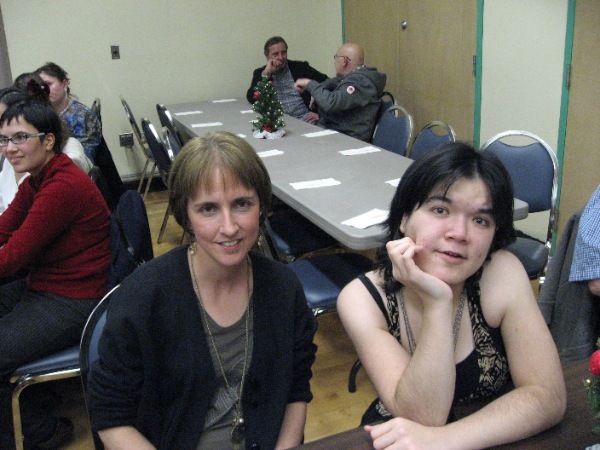 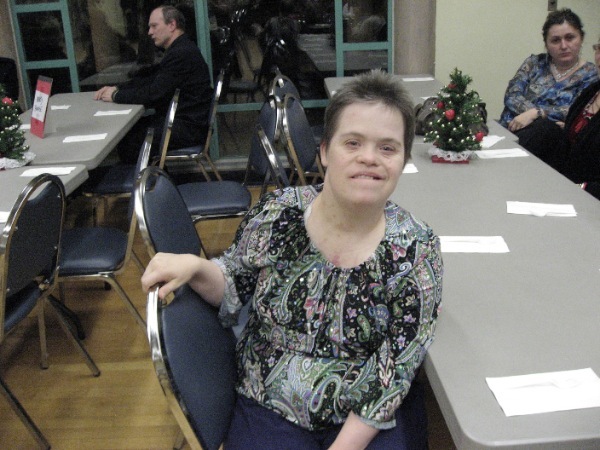 Katie thoroughly enjoyed her experience at the Canadian Special Olympics Winter Games held in St. Albert, Alberta. 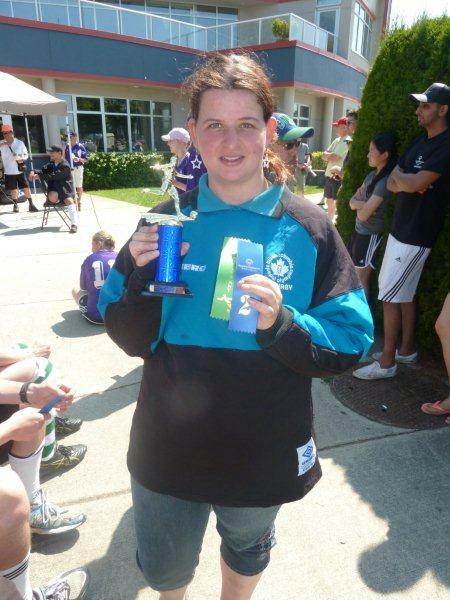 Besides winning medals, some of her favourite things about participating in the Games was meeting new friends from across Canada and socializing with her teammates at the dance following the Closing Ceremonies. 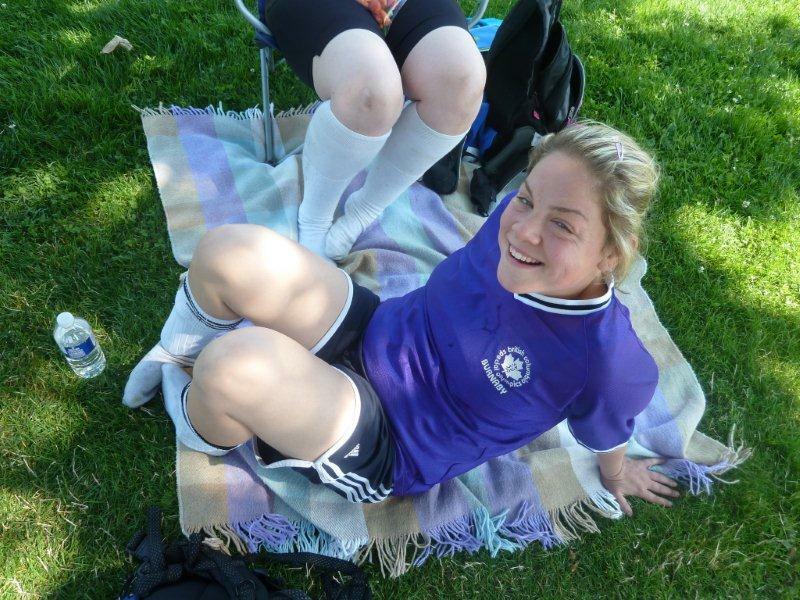 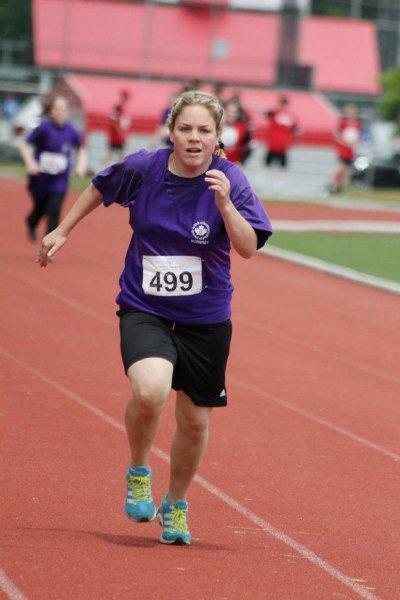 Her future goals include training to qualify for Provincial Games in Track and Field. 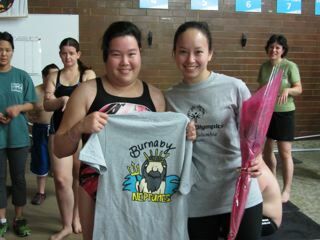 Speed met with style this weekend as Burnaby Neptunes Special O. 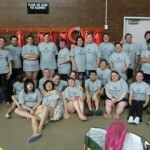 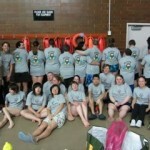 Team strutted their strokes and new team shirts at the North Shore Meet at Harry Jerome Pool. 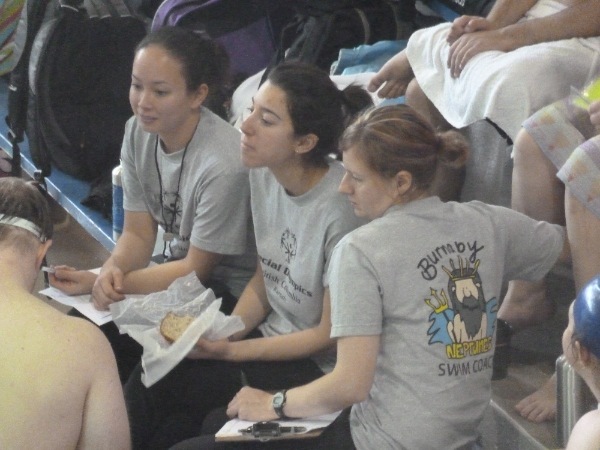 Last year, the team voted to back Bridget Colvin’s choice of Neptunes as our Team Name. 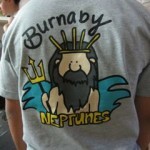 Neptune, meaning God of the Sea. 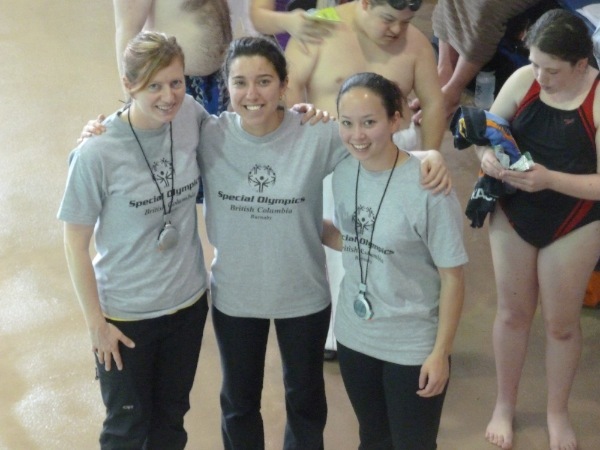 And this year, thanks to Coach Marica Rizzo working her contacts in the community, and putting her logo design artistry to work, we have official Team shirts, decked out in the Neptunes and Special Olympics logos! 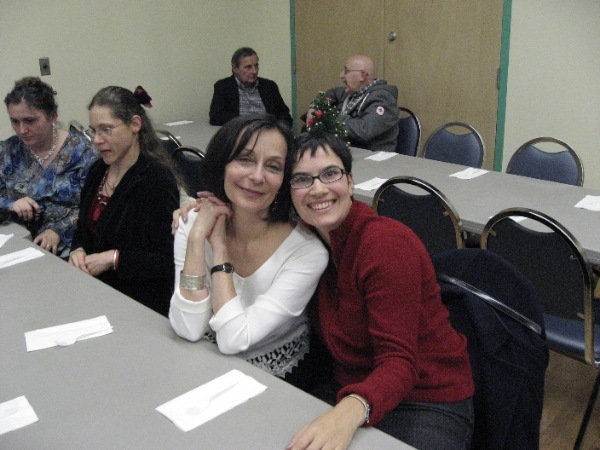 Thank you Marica, for making it happen. 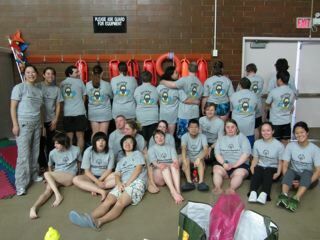 Our team sported these shirts this past Sunday at the North Shore Harry Jerome Swim Meet. 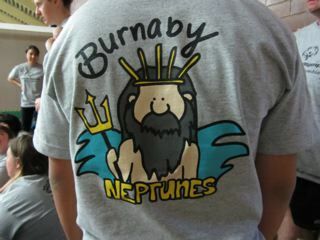 Ten Burnaby Neptunes Swimmers participated in the meet, competing in up to four events each: Katie Little, Katie Durkin, Simon Vanderloo, Esli Zuniga, Ken Windsor, Alene Elgaard, Bridget Colvin, Sara Turner, Dominic Inacio and Sammy Langthorne attended supported by coaches Elisabeth De Marchi, Marica Rizzo, and Cathleen Graham. 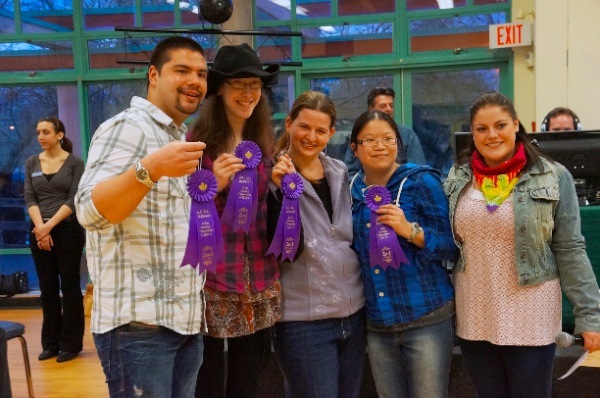 Swimmers earned a tonne of blue, red and white, 1st, 2nd and 3rd ribbons as they mostly matched or exceeded previous best times. 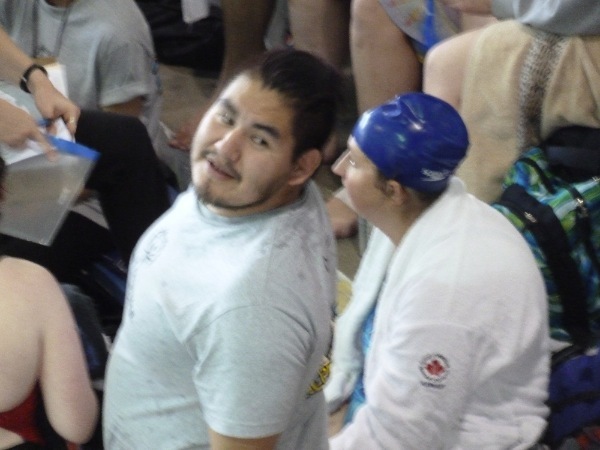 A lot of great swims were had, with some skilled showmanship on flipturns (looking forward to seeing more of that, especially in the 100m swims!). 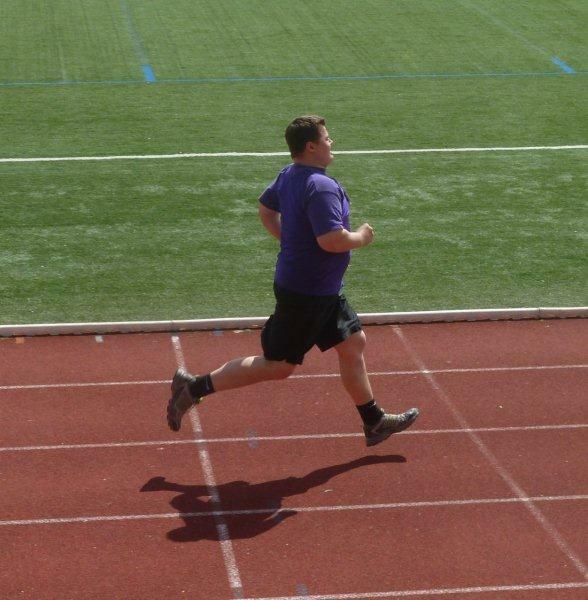 A particular highlight: coaches observed that we seem to have a lot of undiscovered talent in the butterfly with several athletes including Ken Windsor and Dominic Inacio taking off chunks of time in the region of 20 seconds! 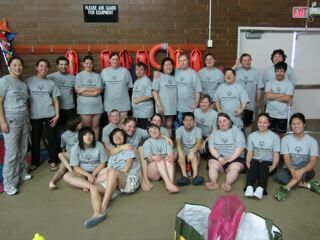 on a 25m swim!! 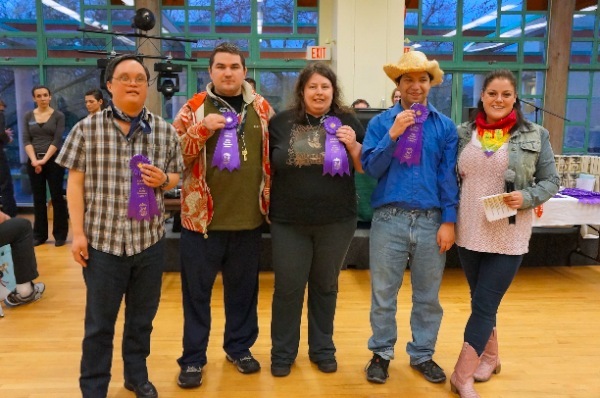 Congratulations to all who gave their best! 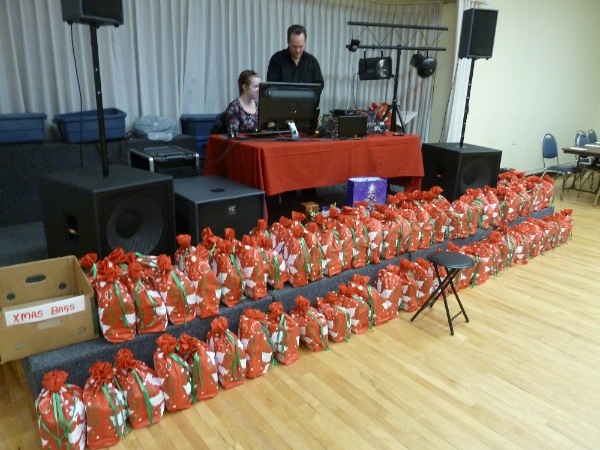 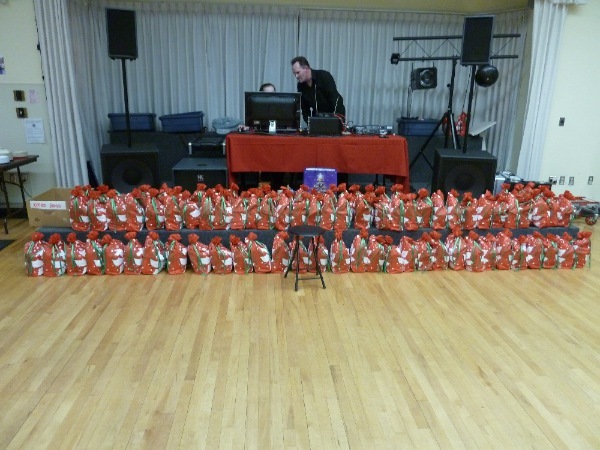 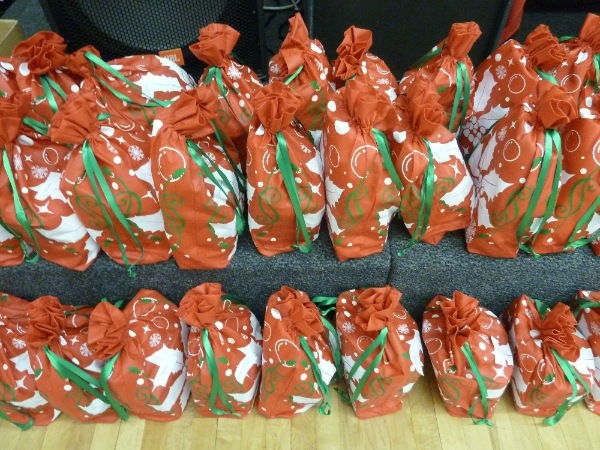 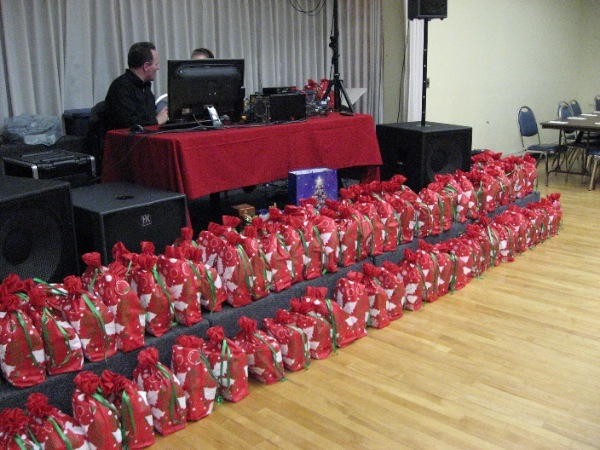 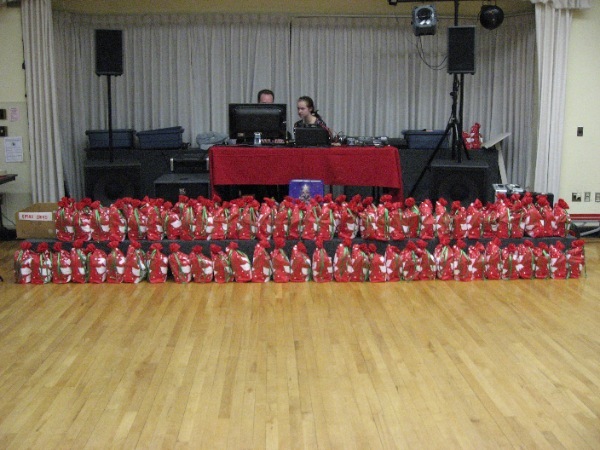 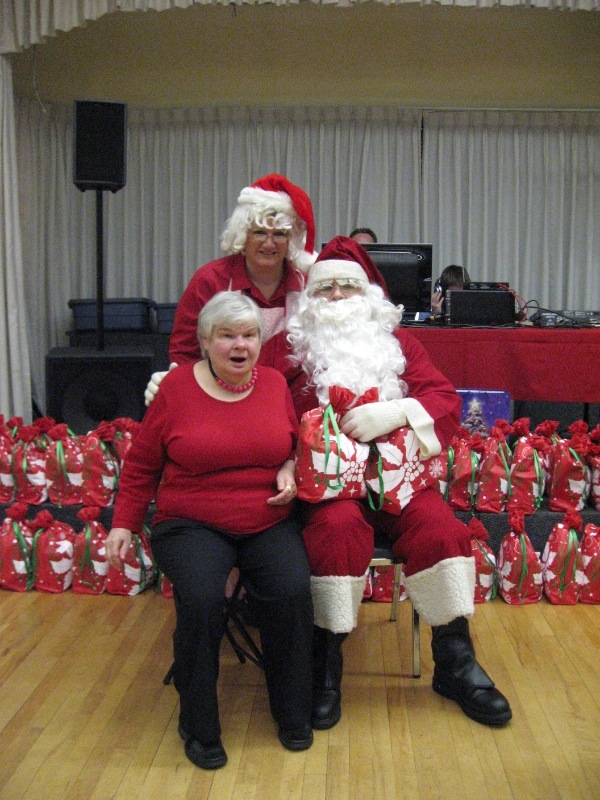 Great job by all and we look forward to several more competitions in 2012! 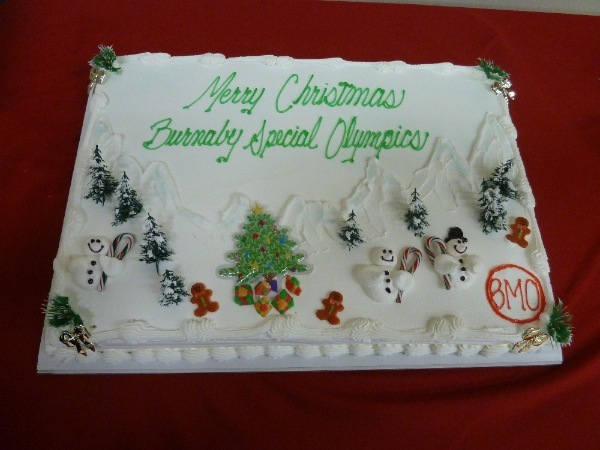 Go Burnaby, Go! 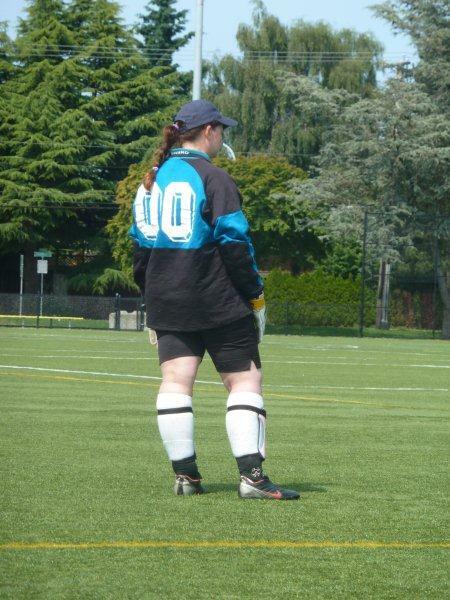 Go Neptunes, Go!